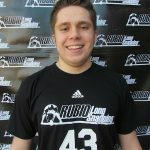 Rubio Long Snappers Cole Mazza & Gabriel Miller will be participating in the Semper-Fidelis All-American Game tonight at 6:00 pm pst. 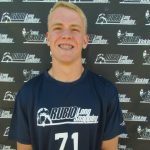 The game will be televised live on the NFL network and “is the culmination of a series of Diamond Flight Camps and a nationwide All-American player selection tour that collectively celebrate academic excellence, proven physical fitness, and quality of character” per their website. 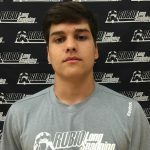 Cole, who is committed to Alabama, and Gabriel, who is committed to Nebraska, both on full scholarship, were chosen by Rubio Long Snapping and Chris Sailer Kicking after dominating the selection camp for the Junior Rank Semper-Fidelis camp in Naples, FL this past summer. 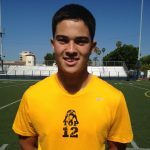 Also, two time TOP 12er, Brendan Turelli, who already has a full scholarship offer from Wyoming, will be competing in the Under Armour All-Star game at 2:00 pm pst on ESPN. 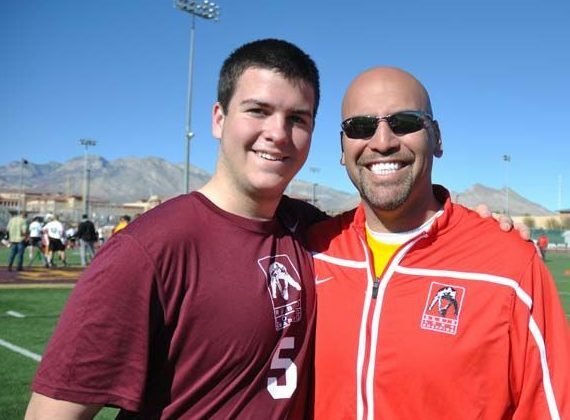 Congratulations to all of these terrific Long Snappers as they show their dominance today on national television. 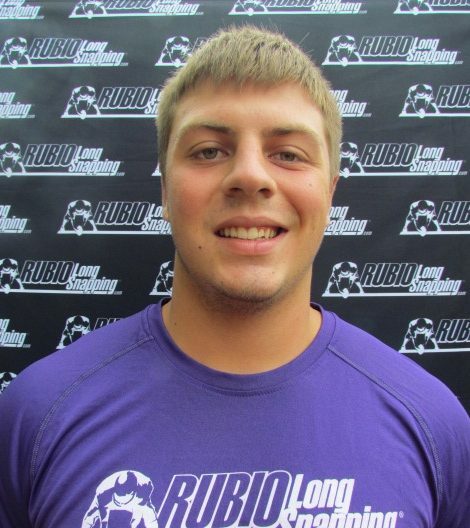 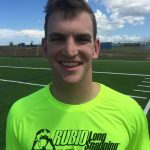 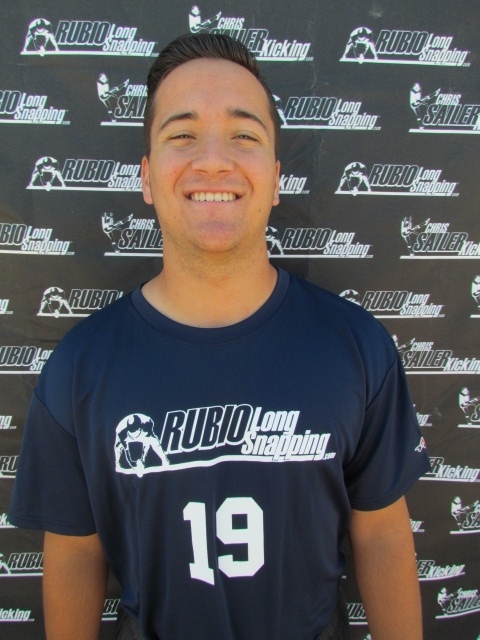 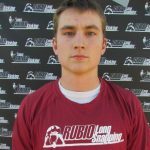 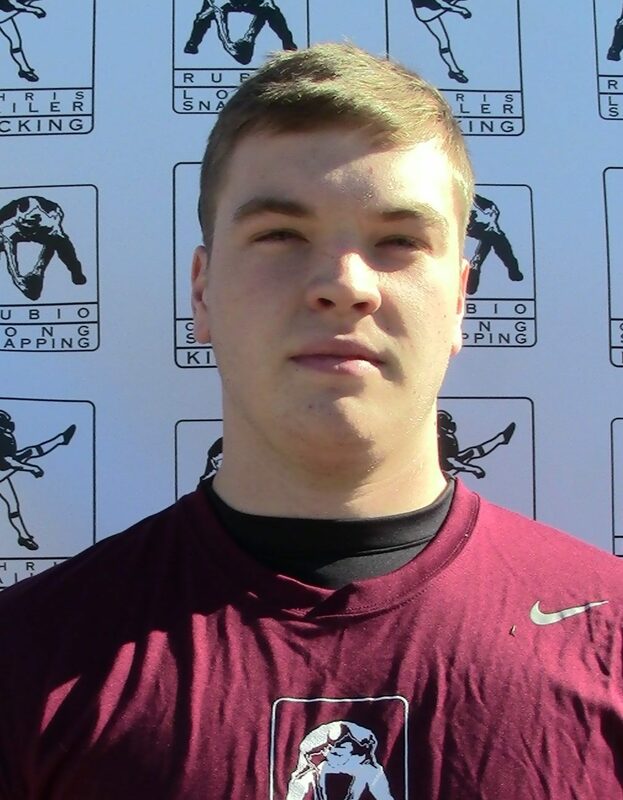 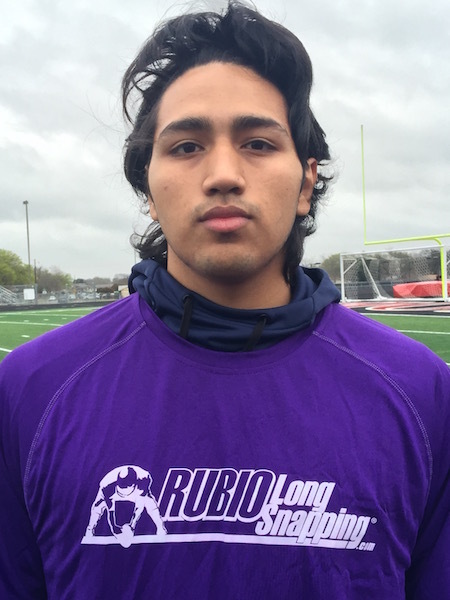 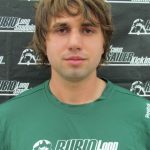 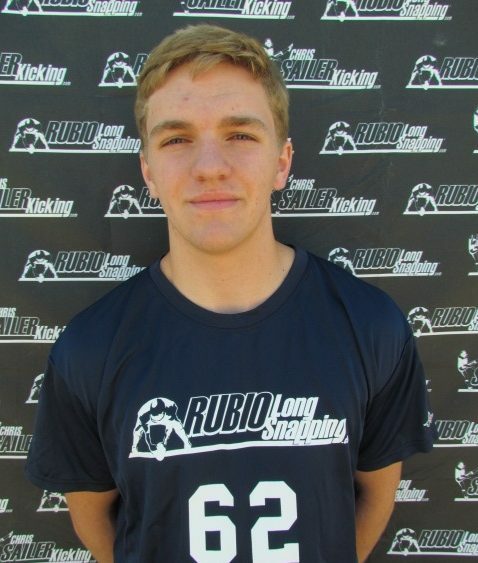 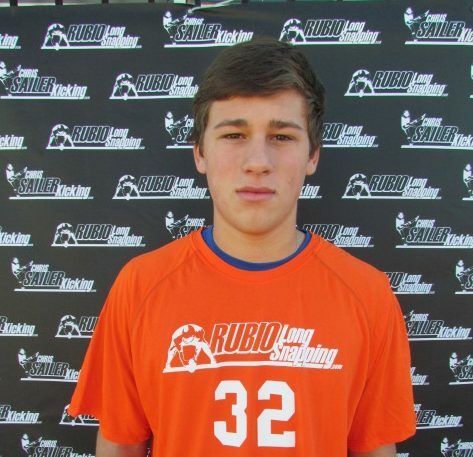 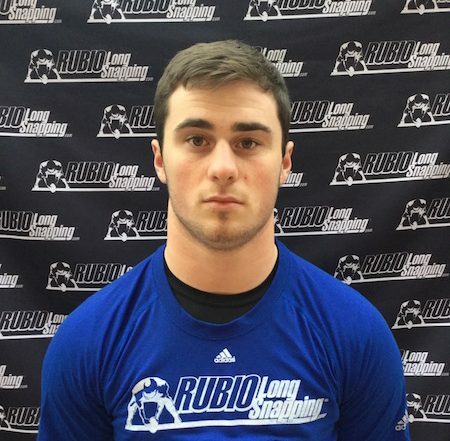 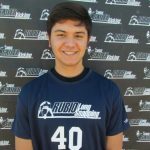 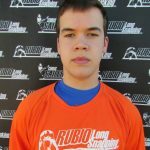 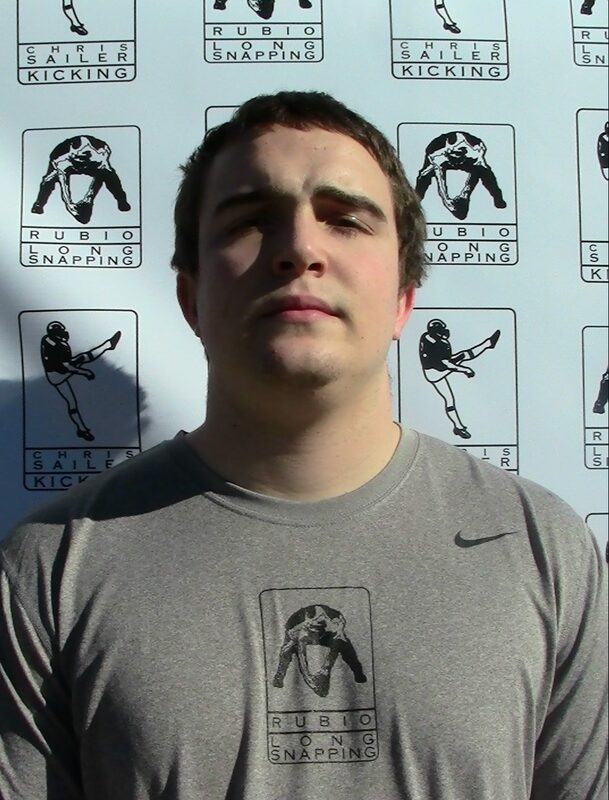 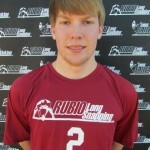 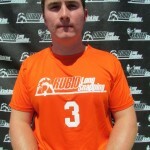 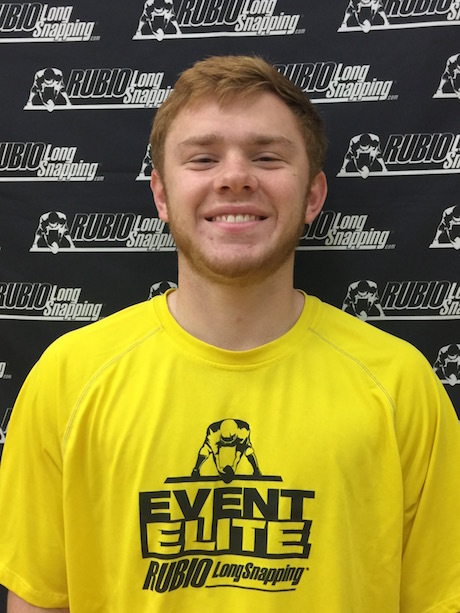 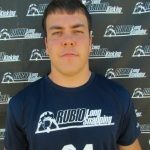 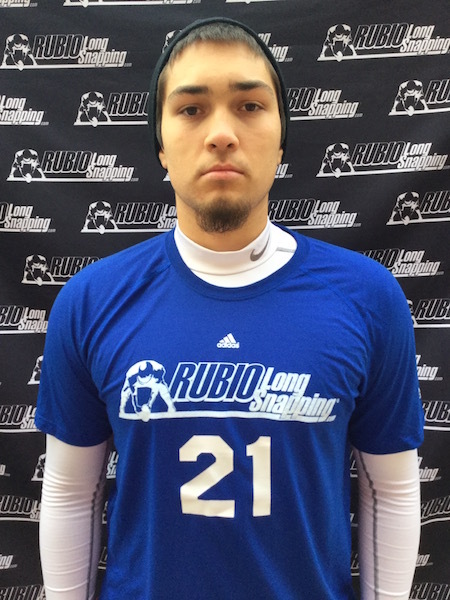 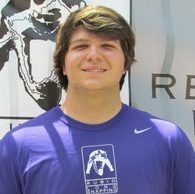 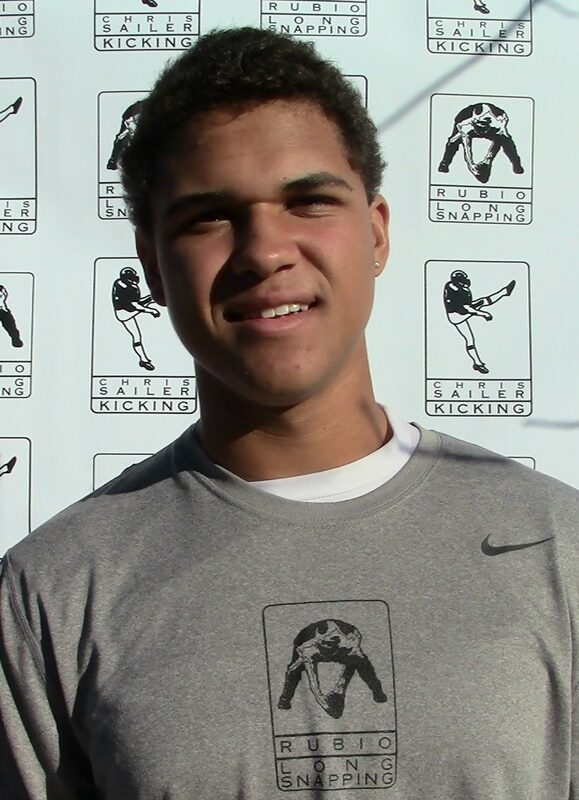 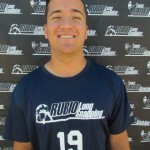 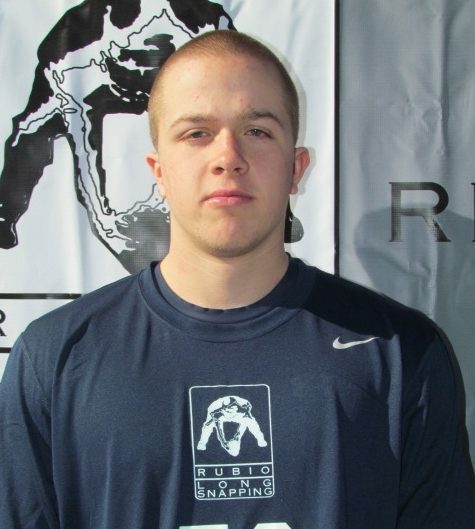 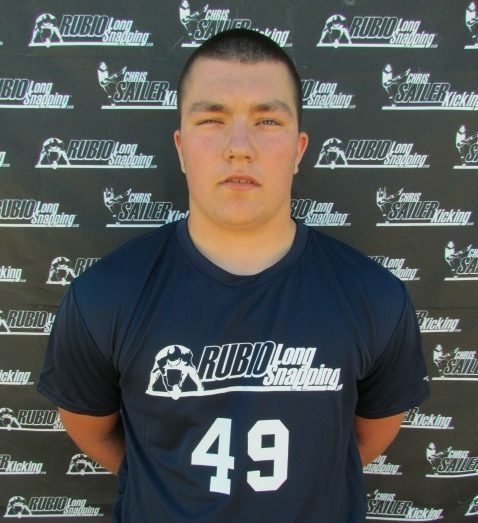 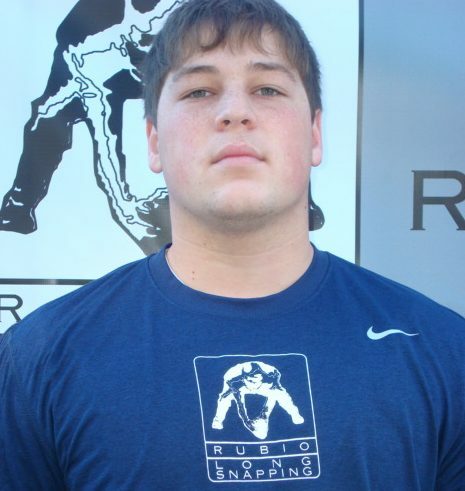 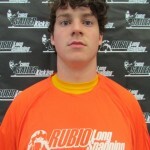 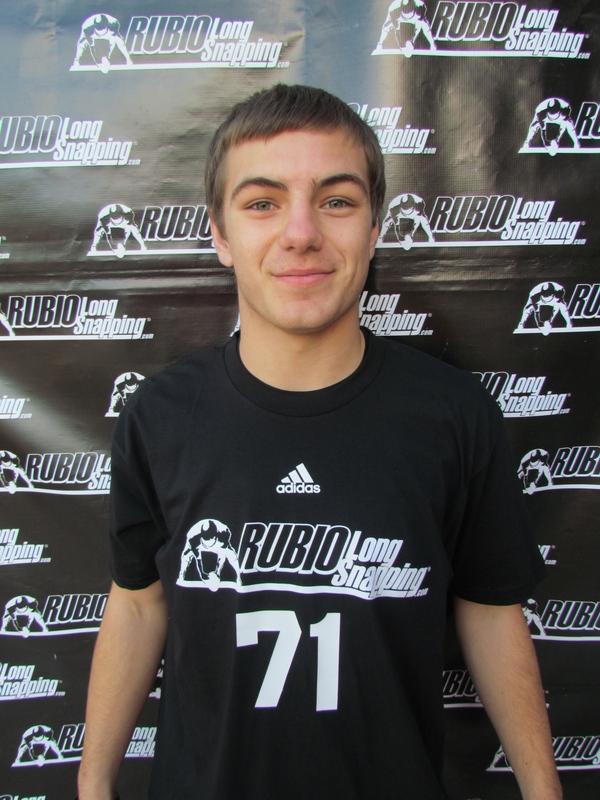 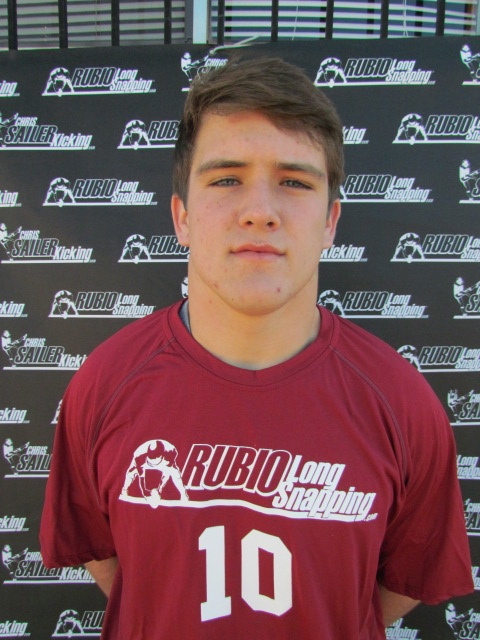 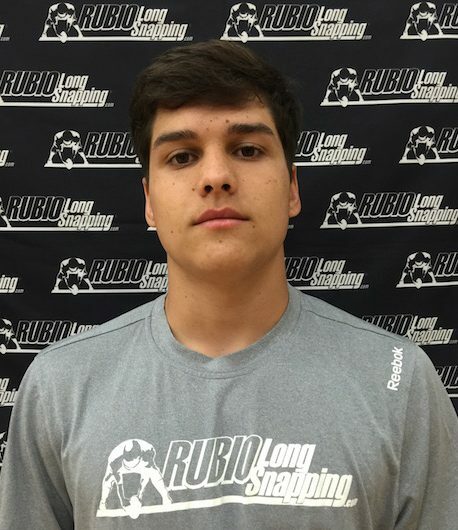 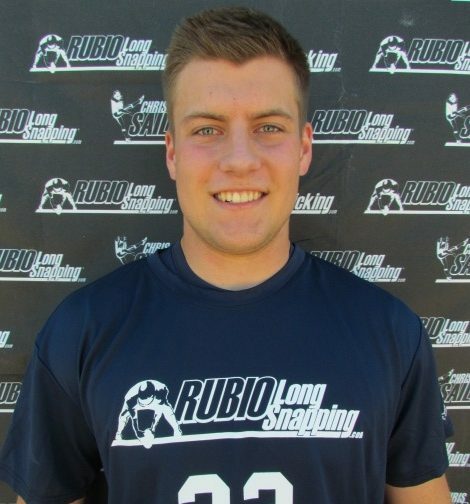 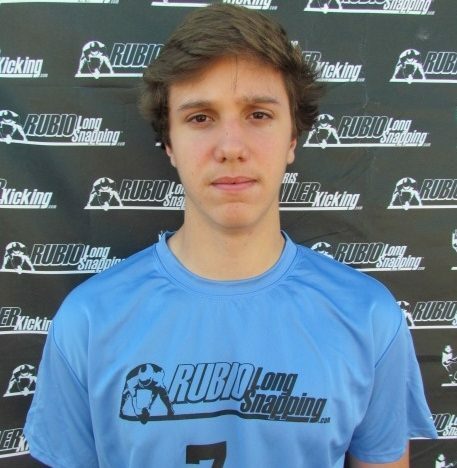 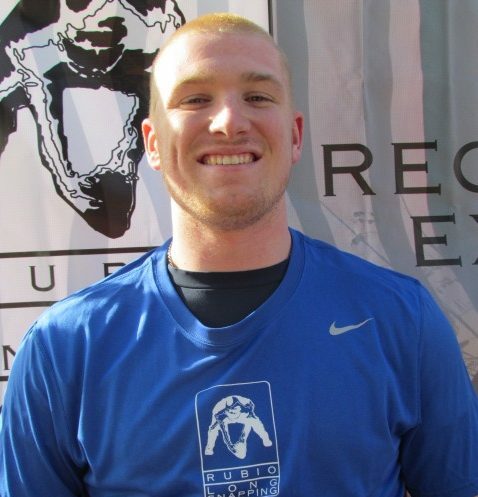 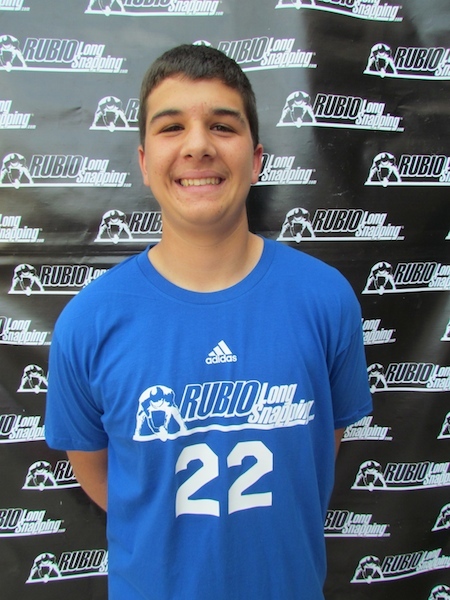 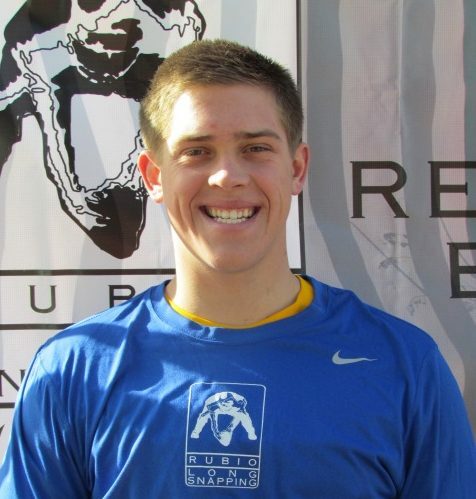 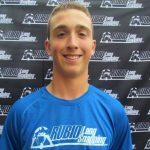 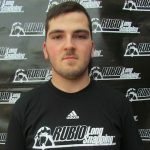 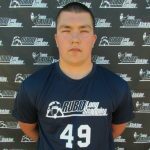 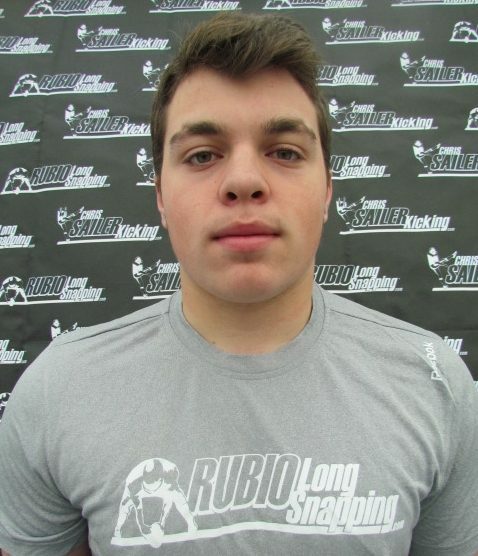 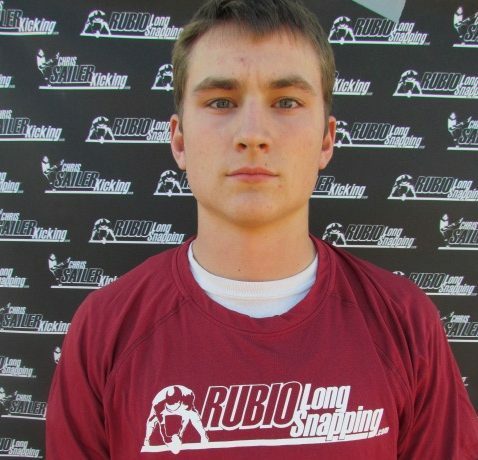 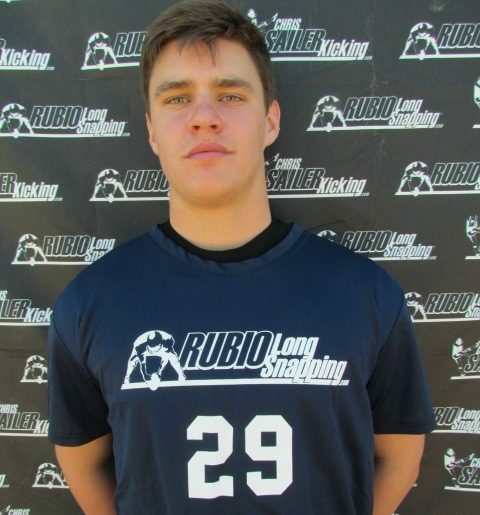 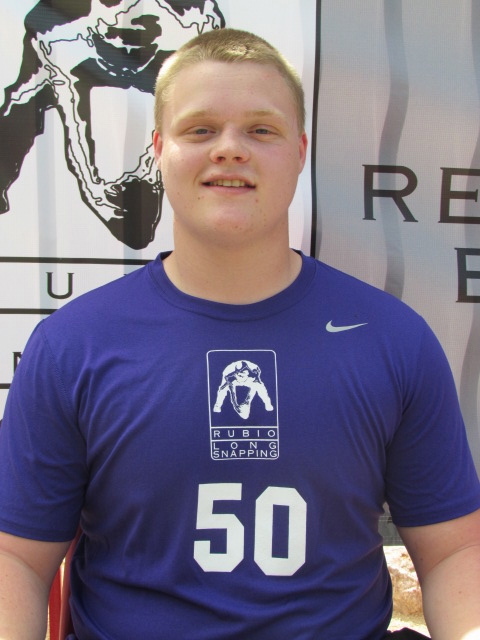 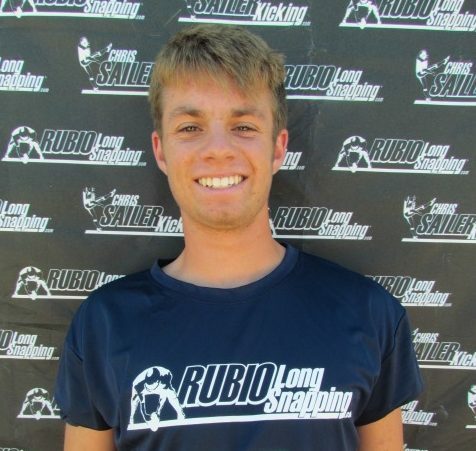 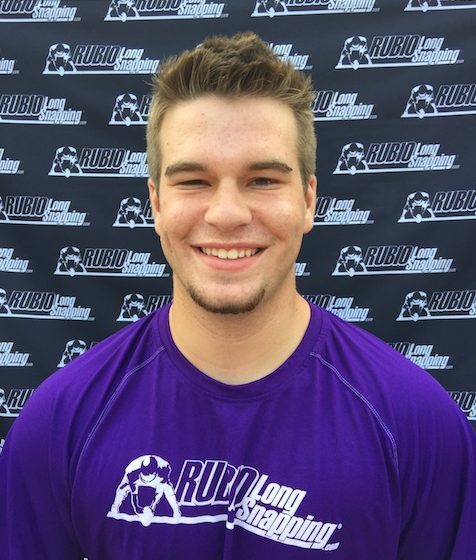 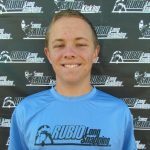 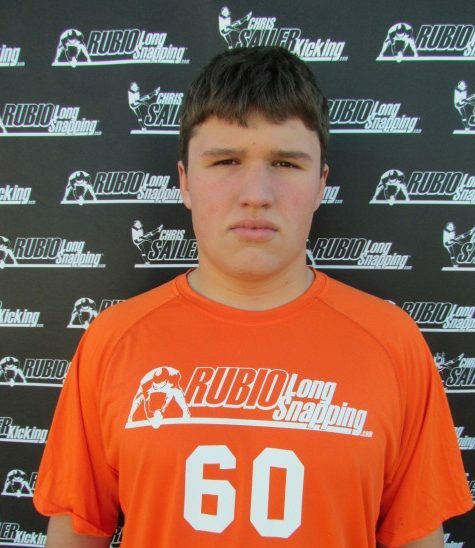 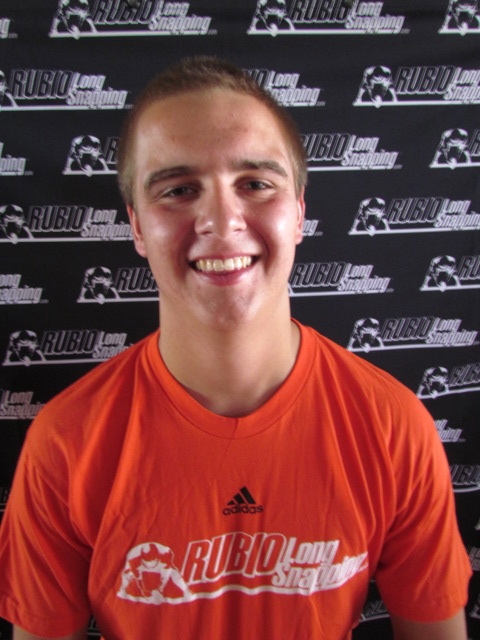 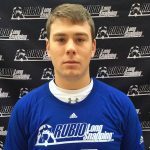 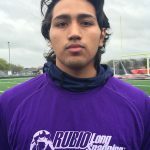 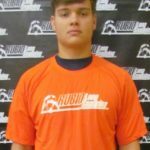 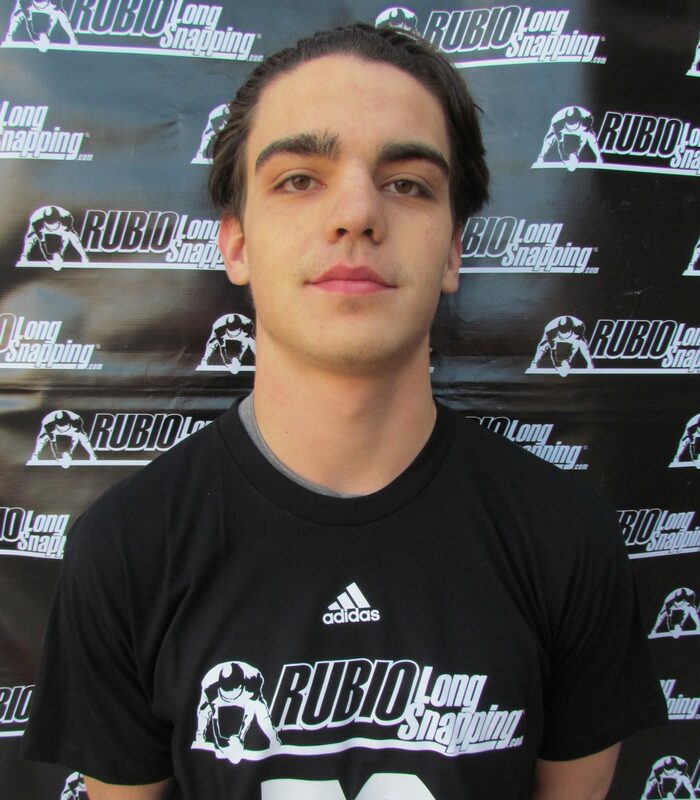 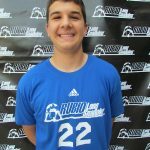 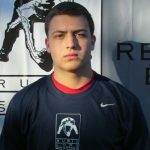 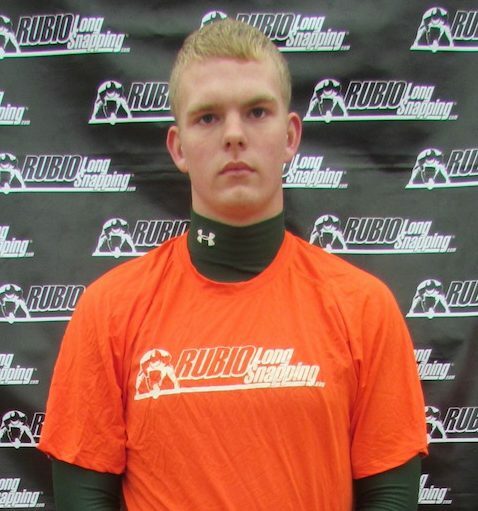 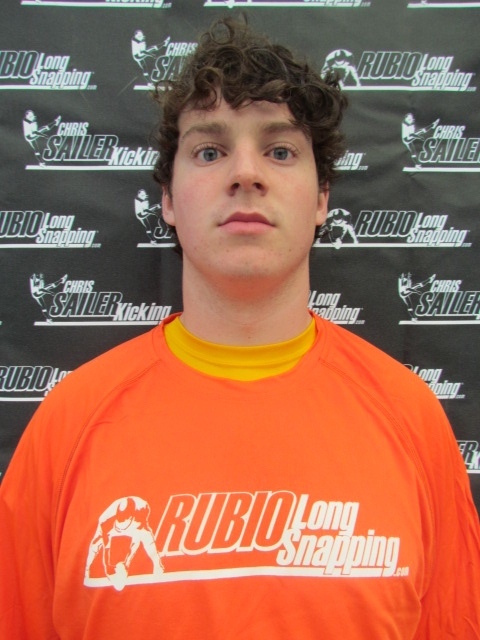 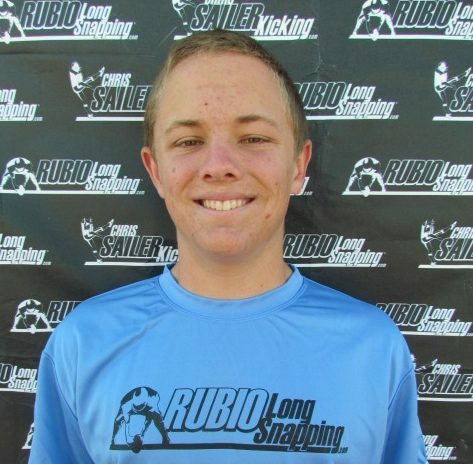 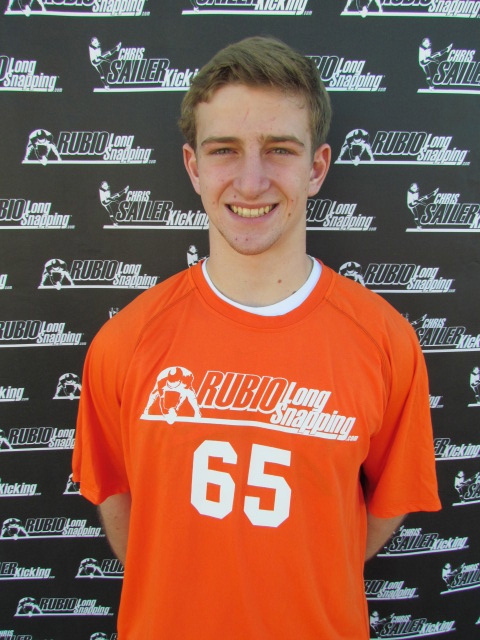 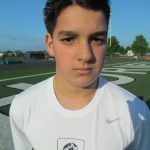 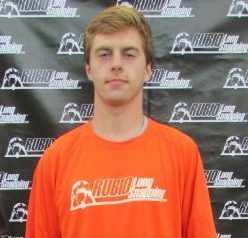 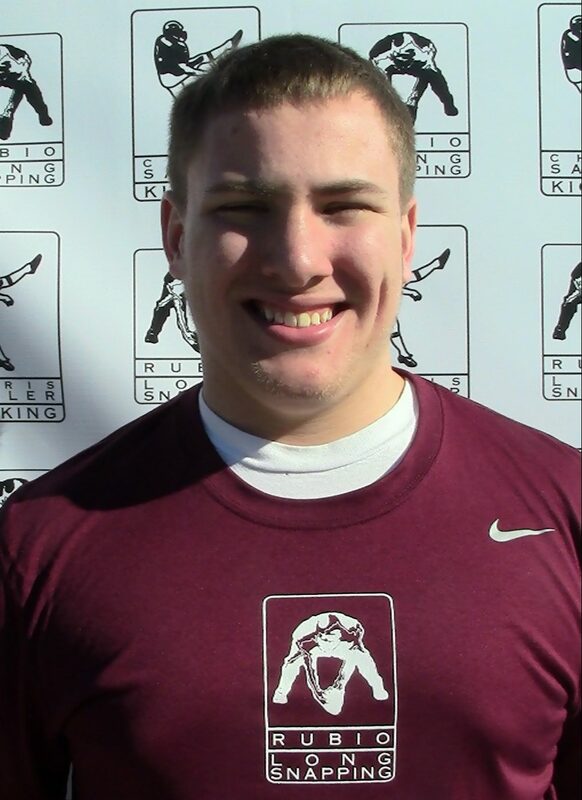 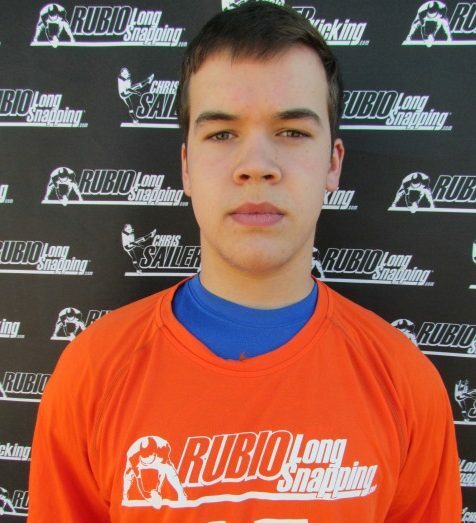 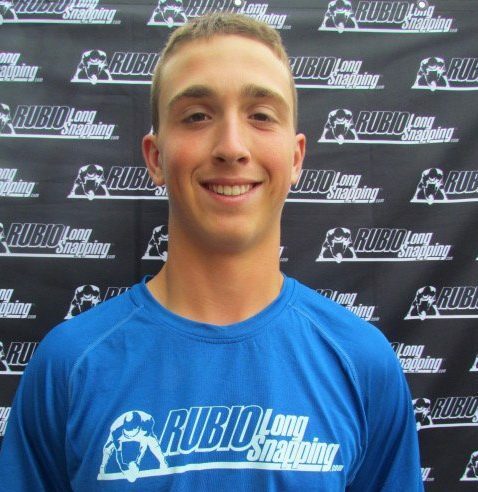 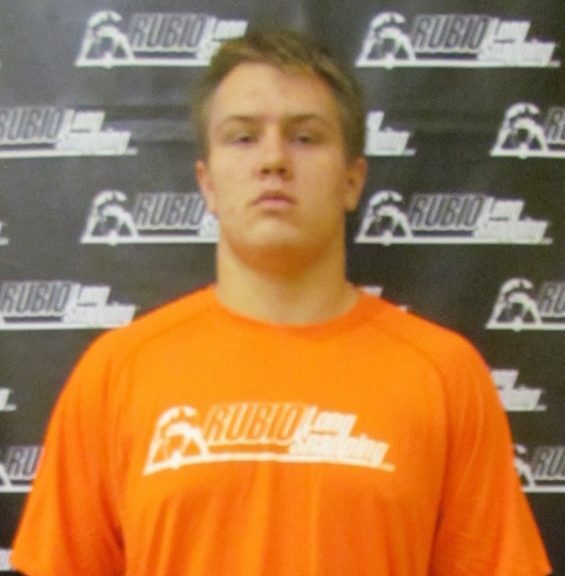 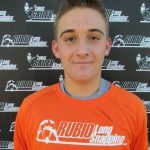 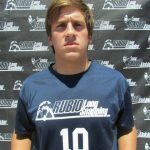 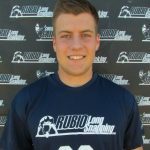 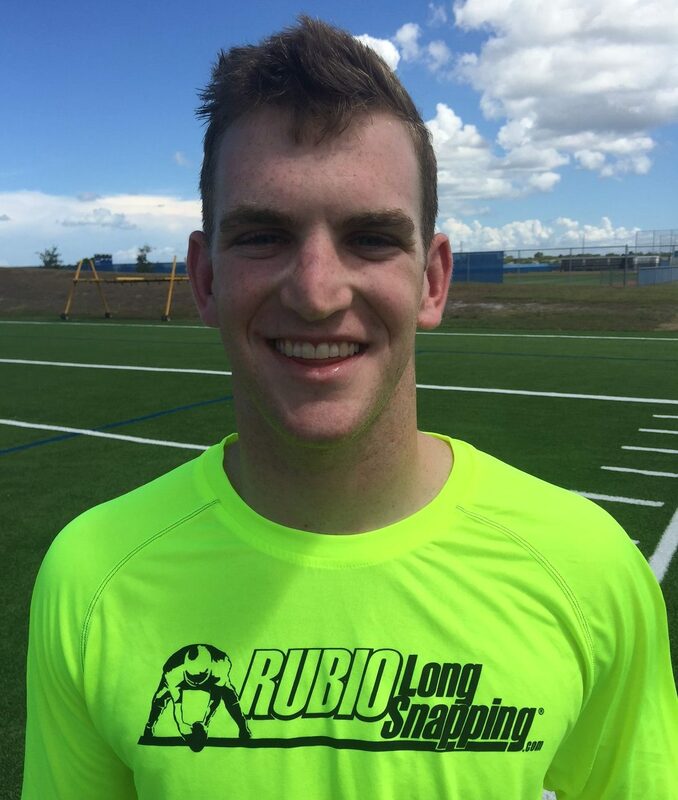 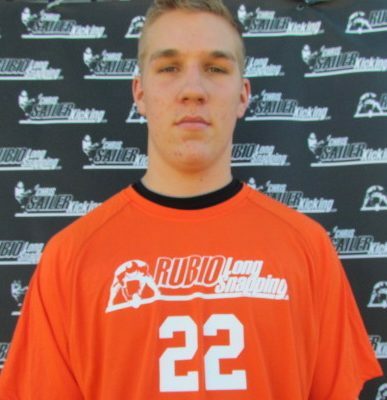 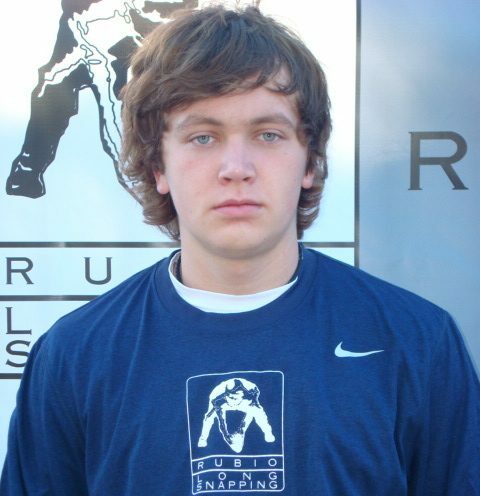 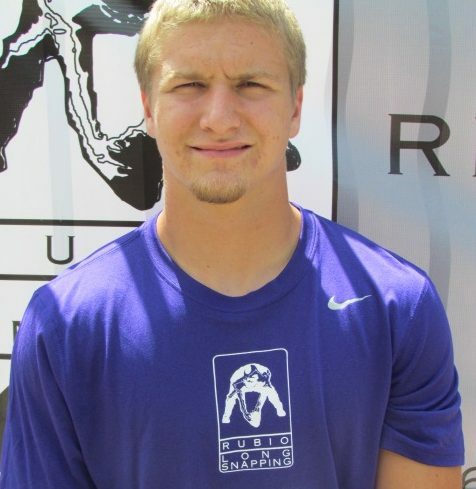 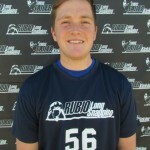 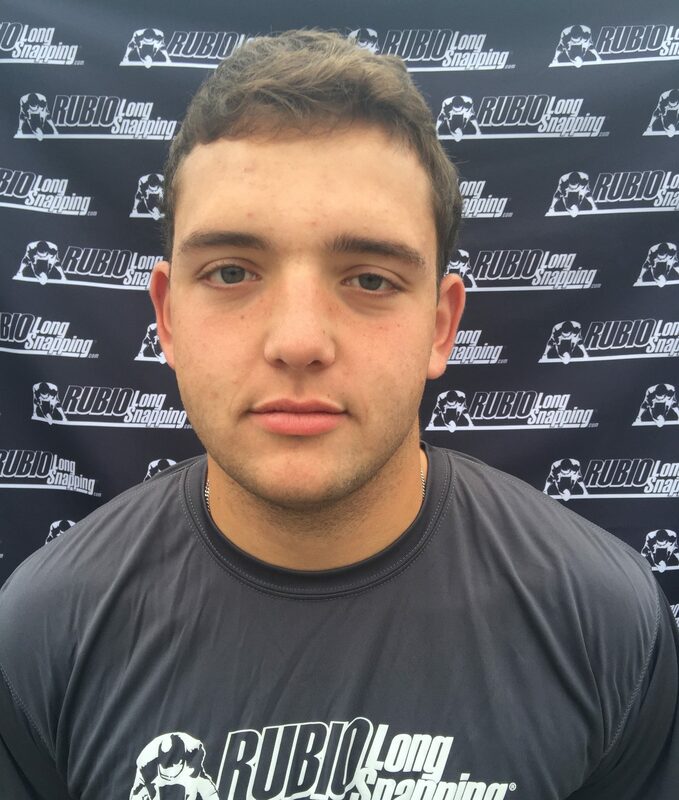 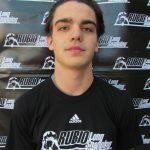 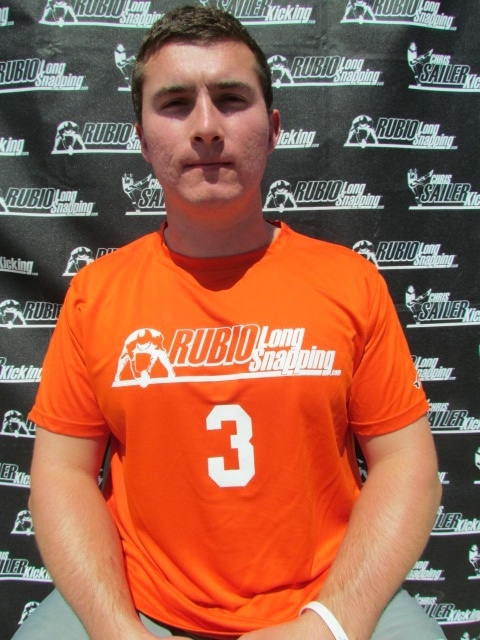 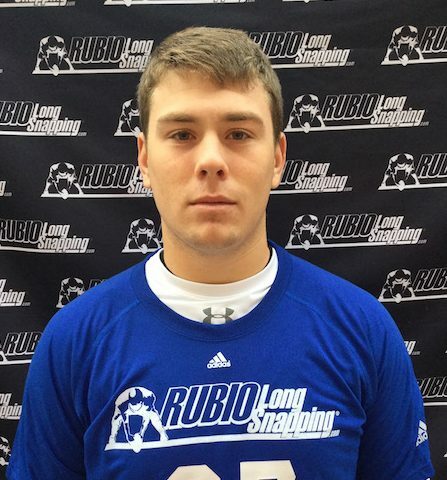 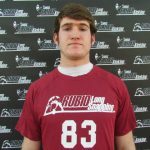 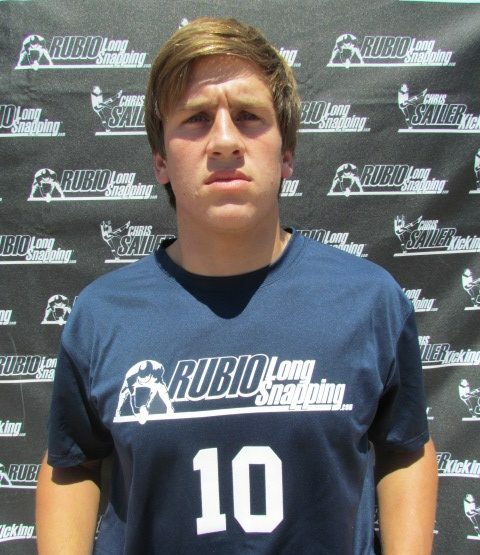 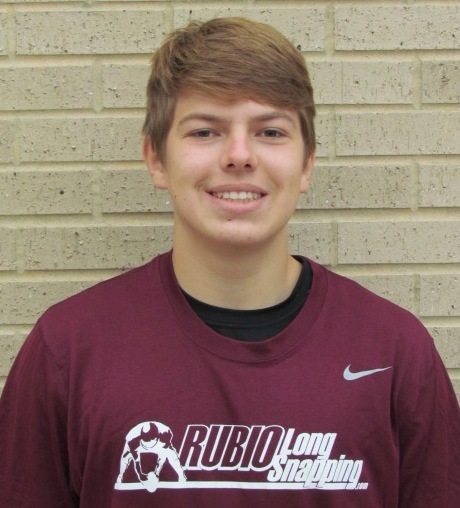 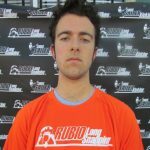 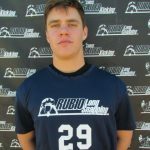 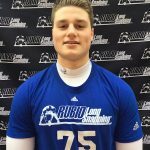 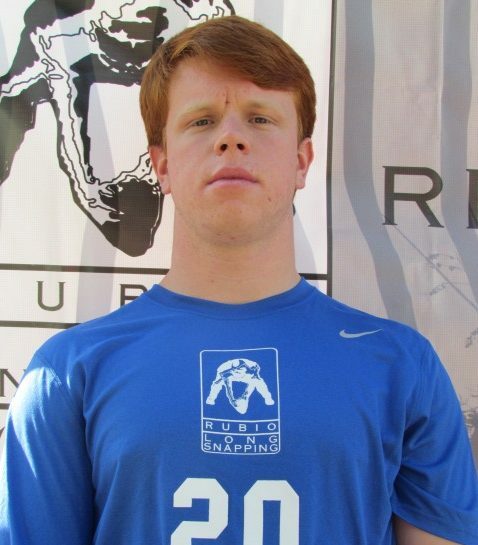 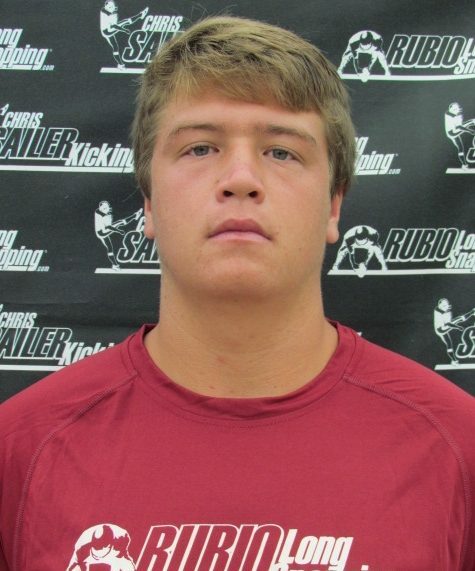 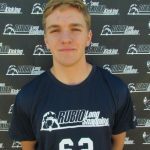 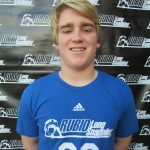 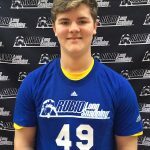 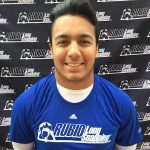 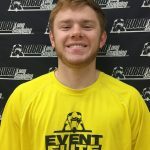 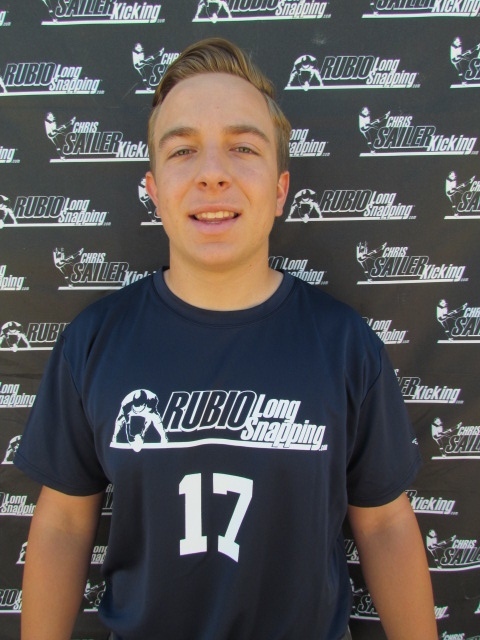 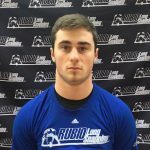 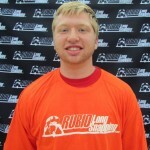 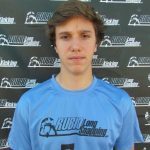 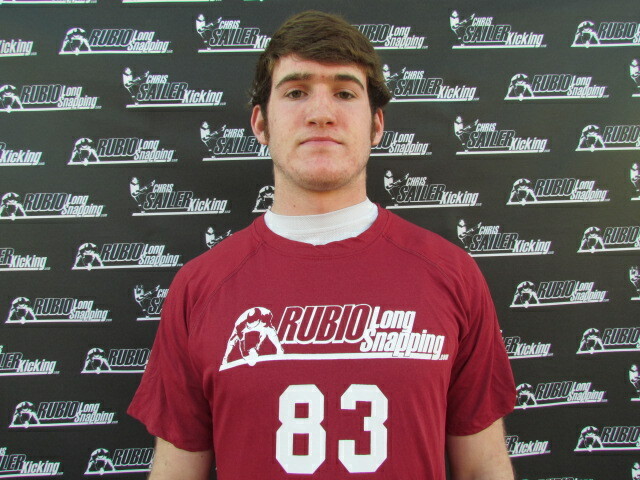 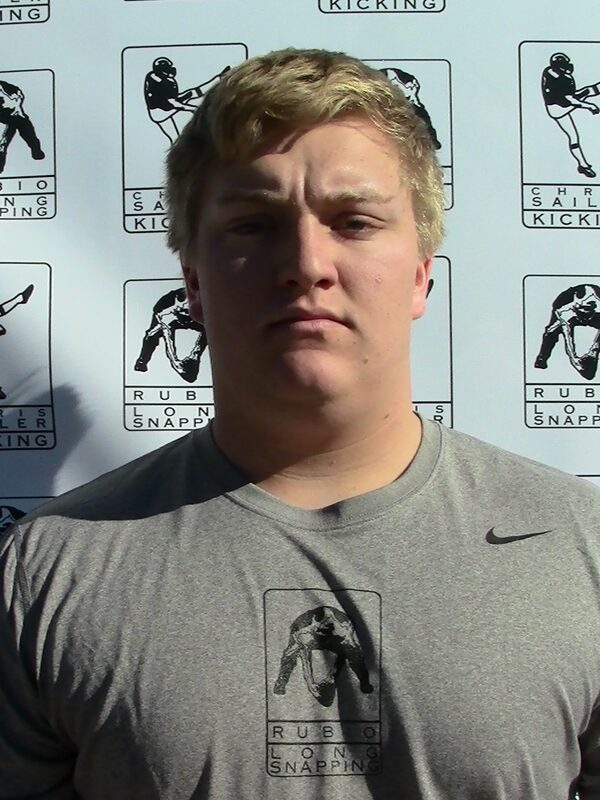 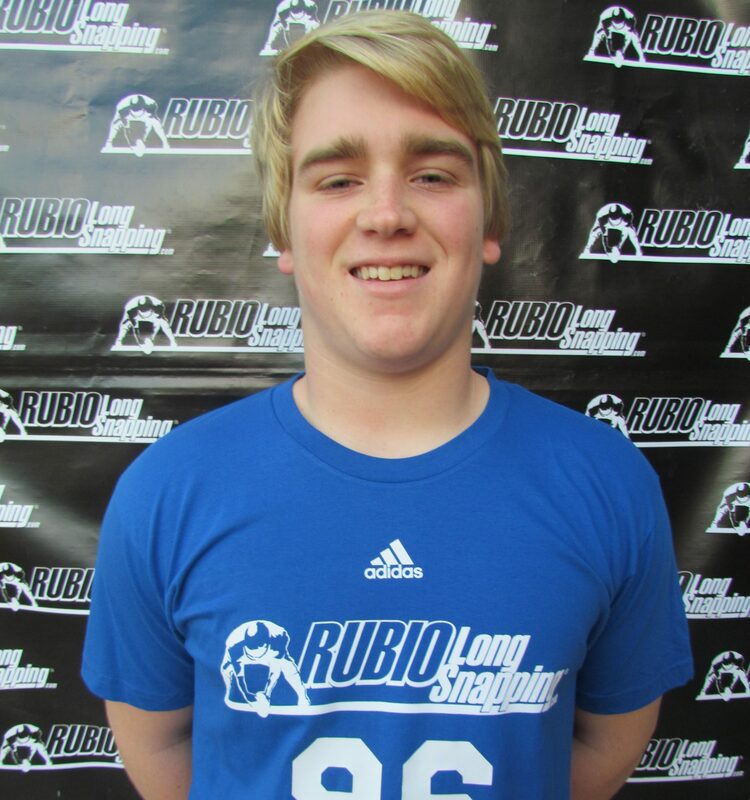 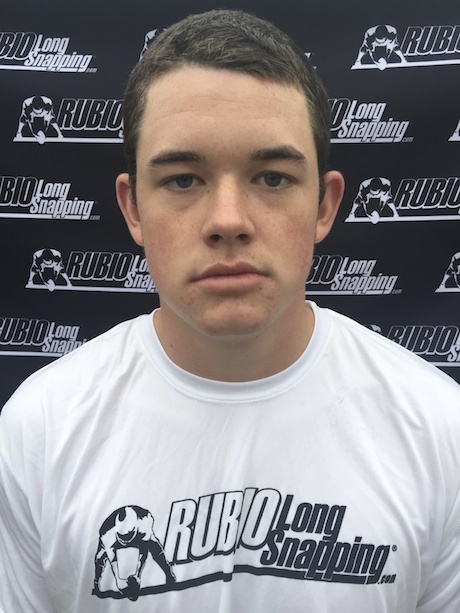 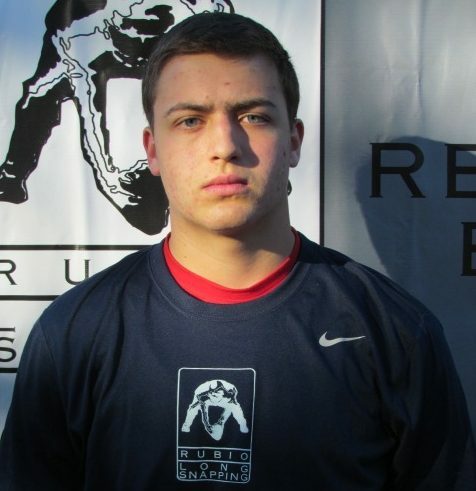 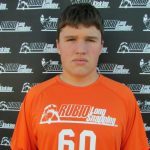 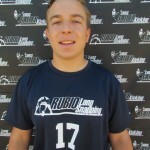 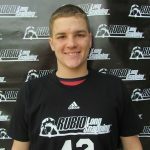 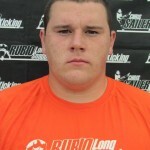 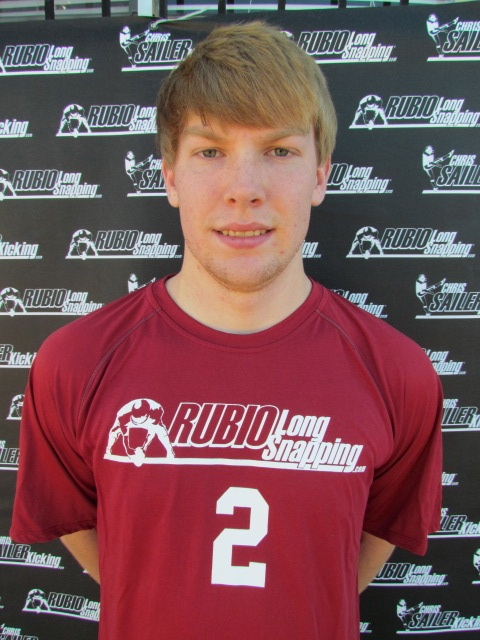 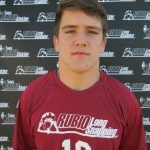 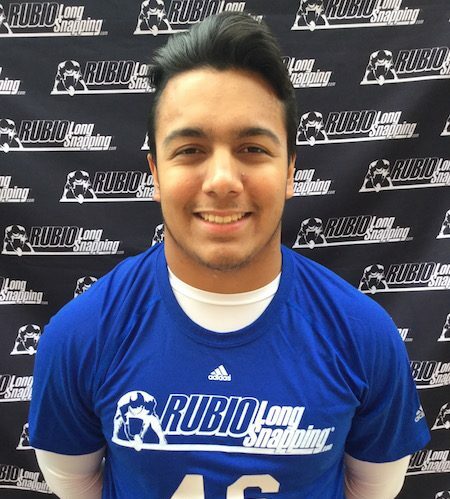 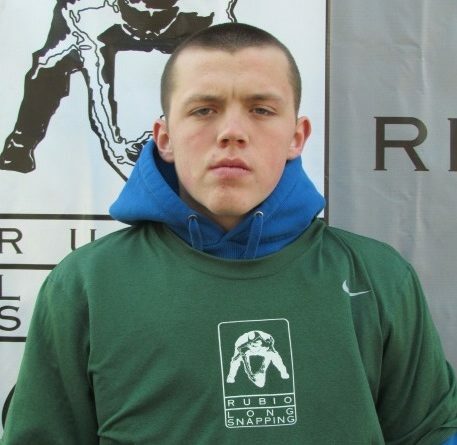 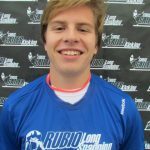 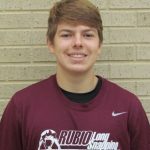 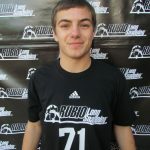 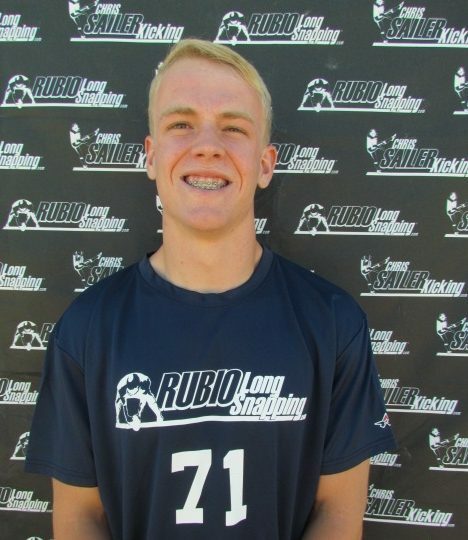 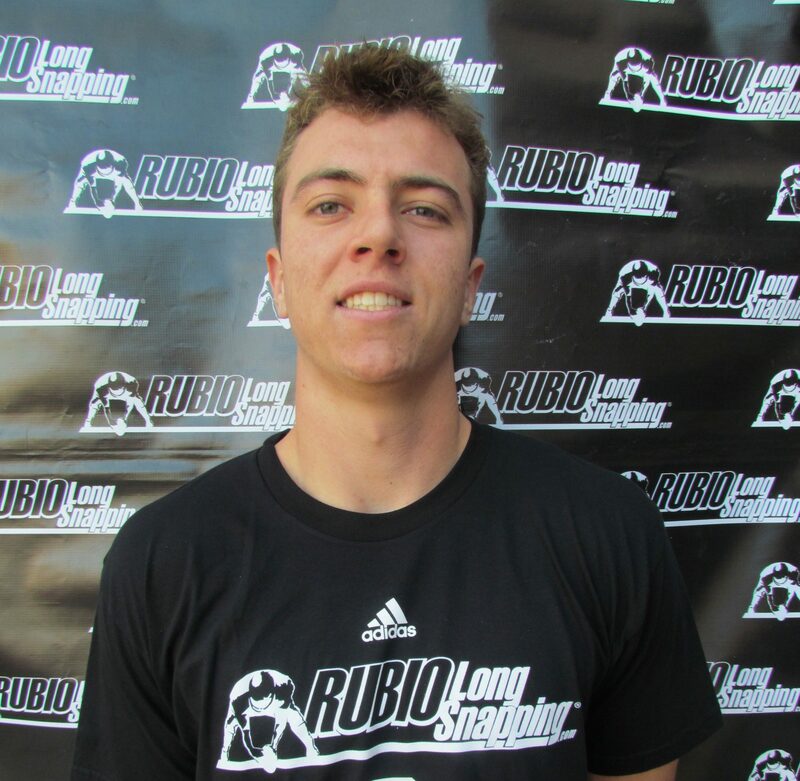 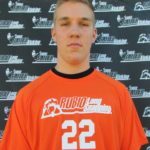 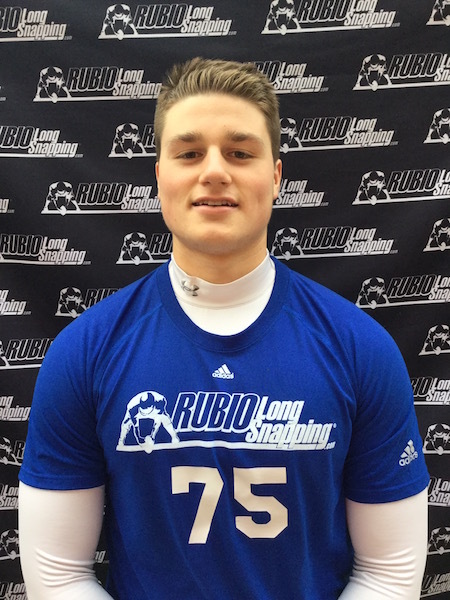 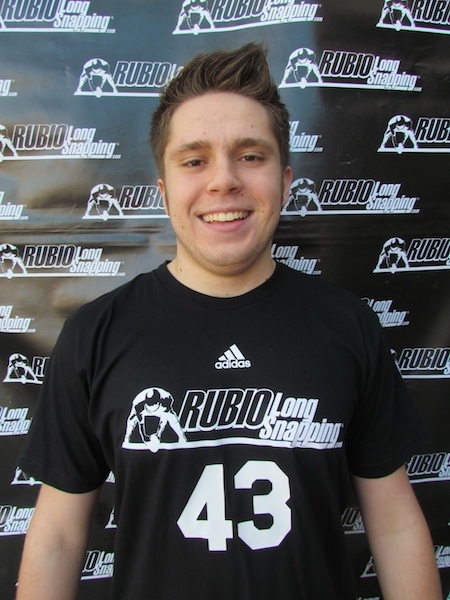 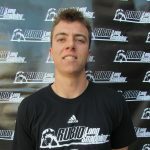 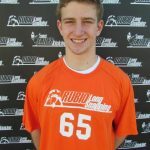 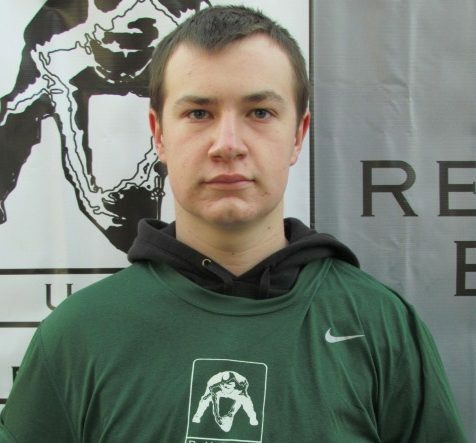 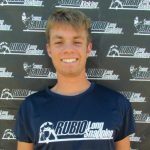 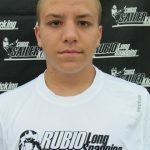 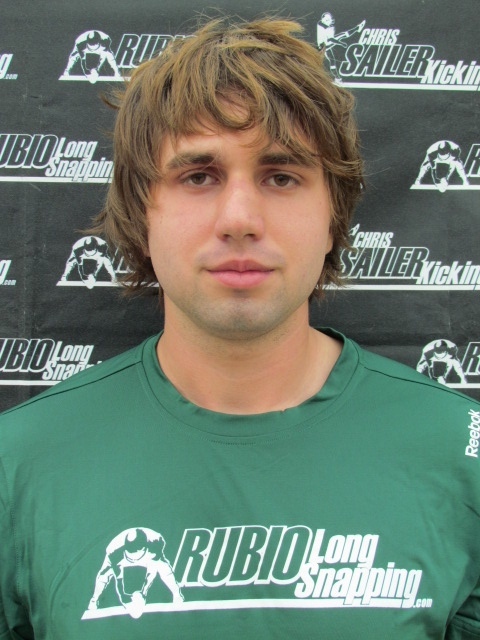 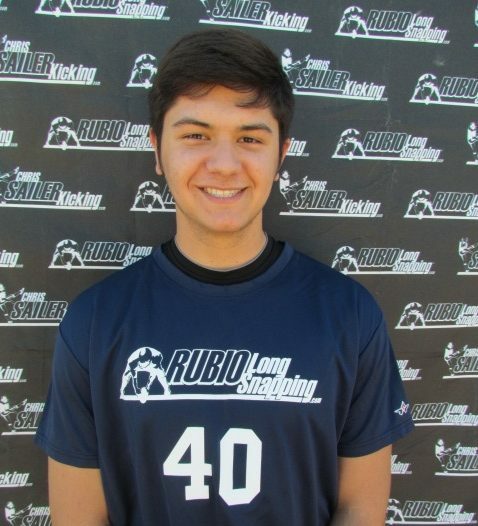 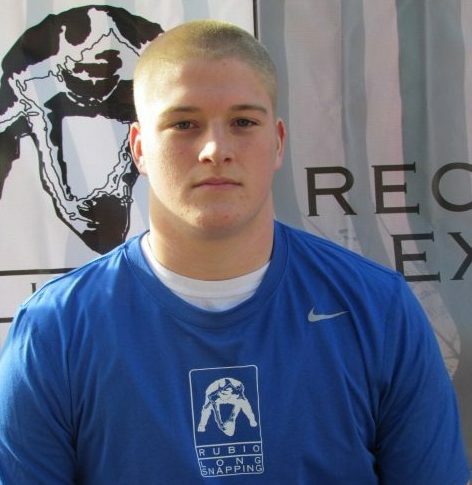 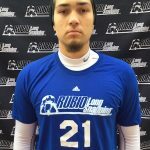 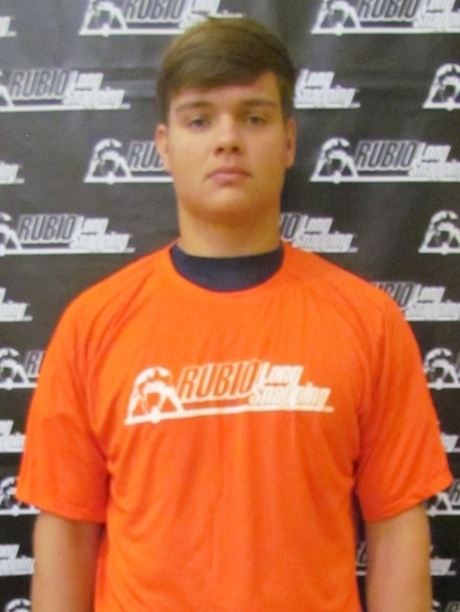 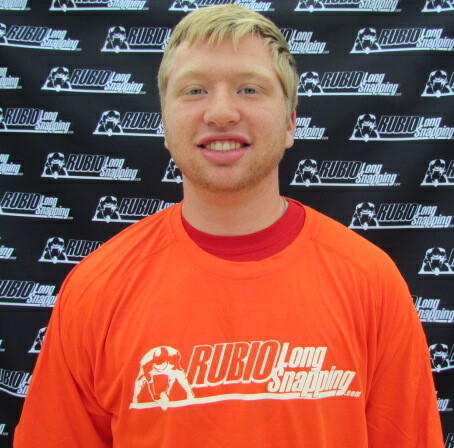 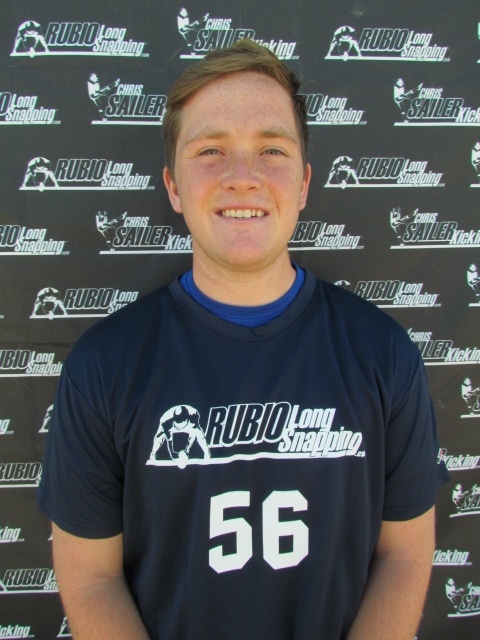 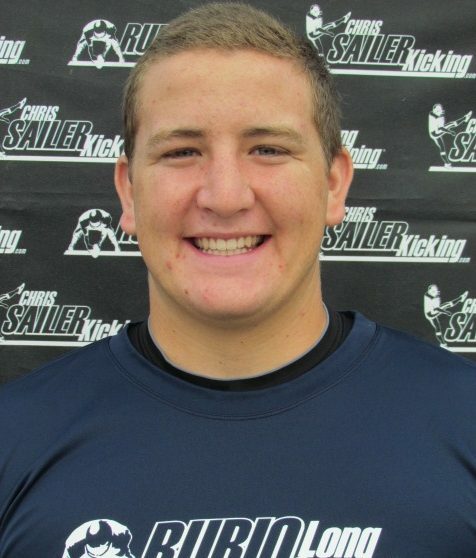 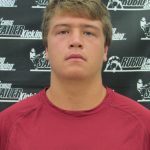 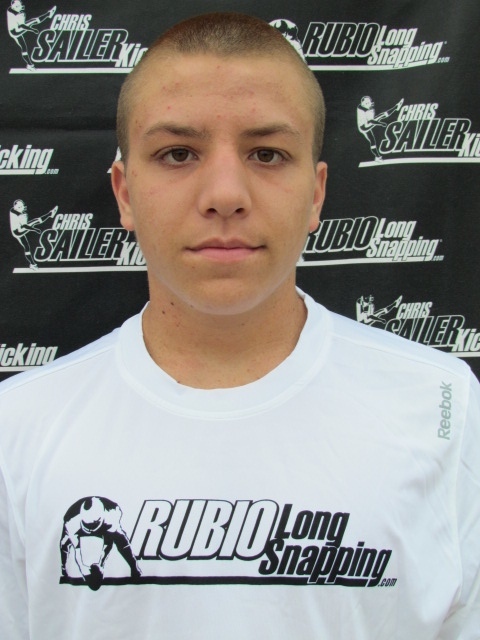 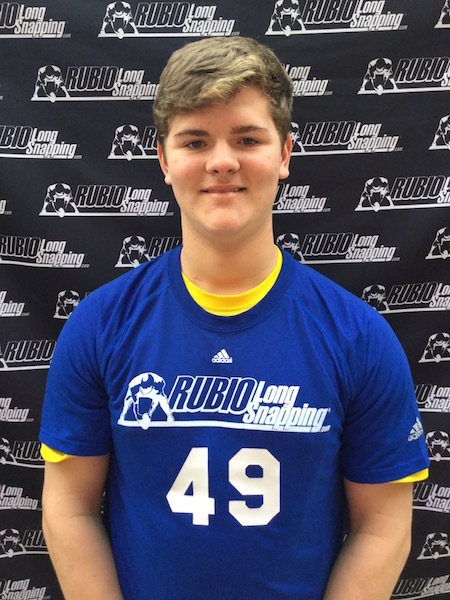 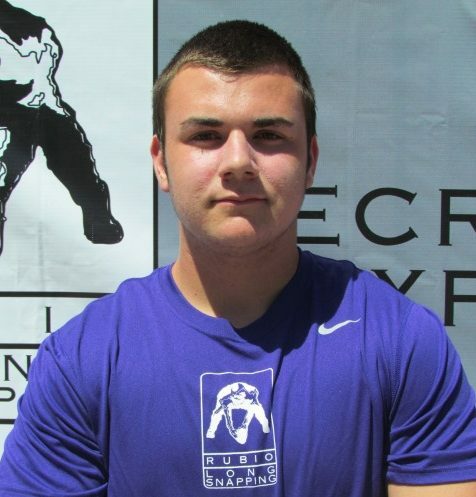 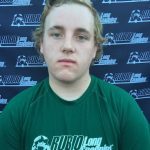 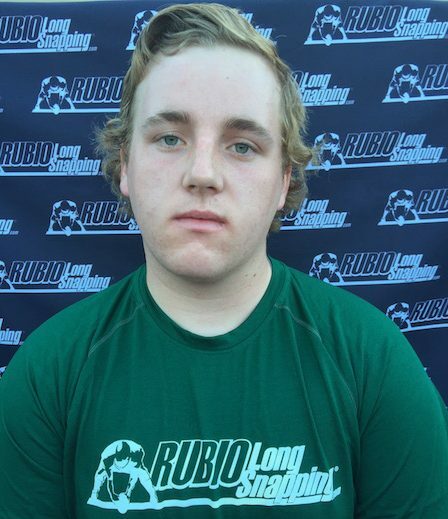 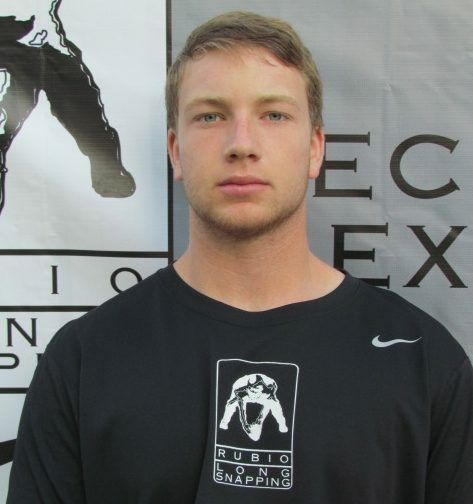 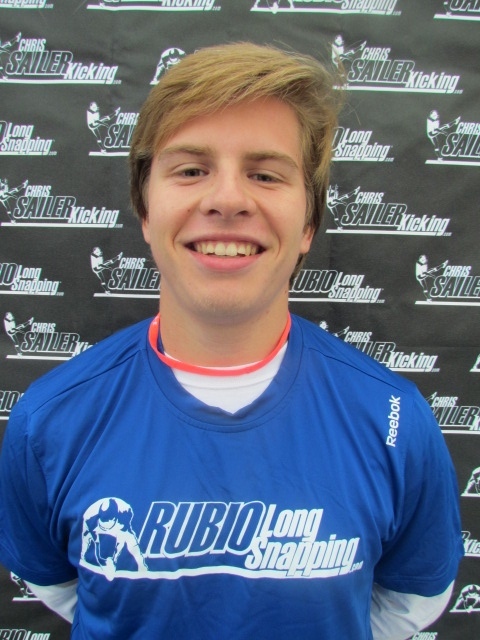 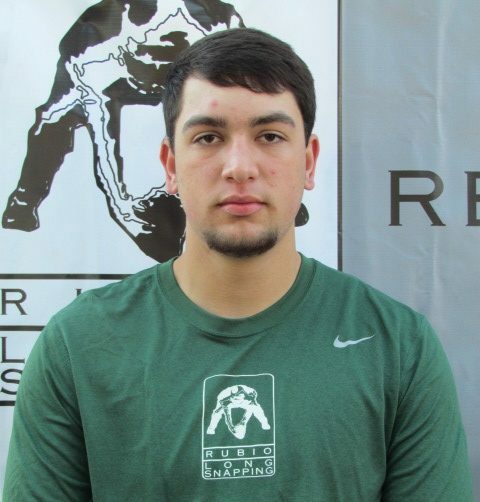 Rubio Long Snapper Picks up Full Scholarship! 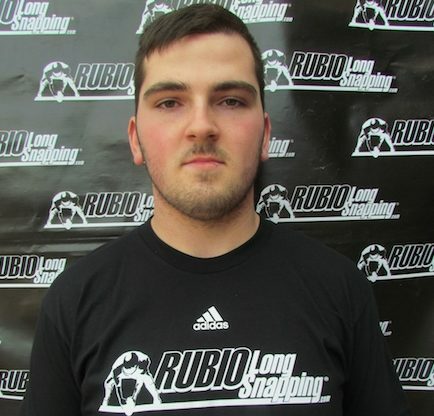 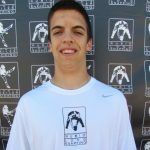 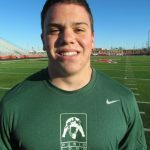 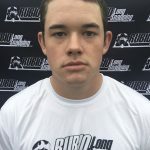 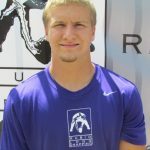 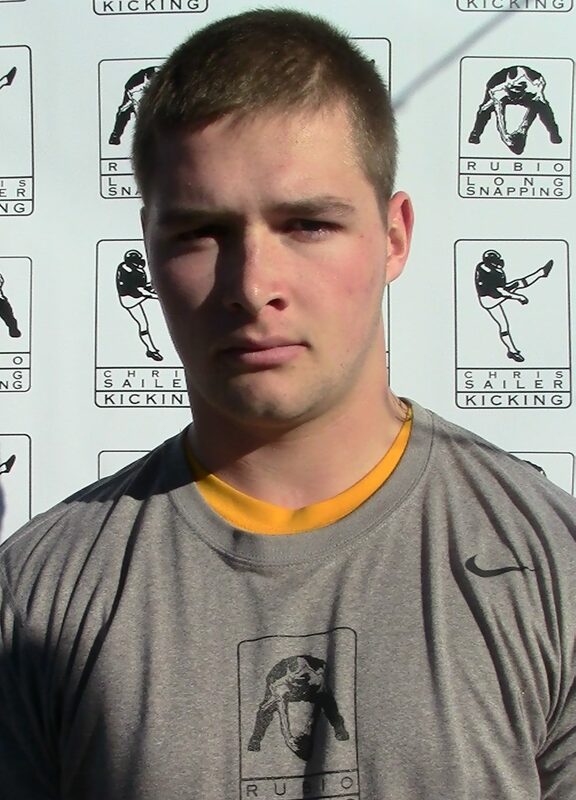 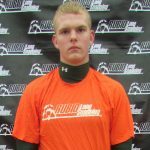 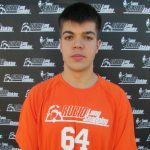 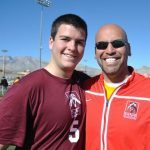 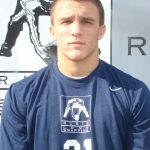 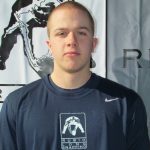 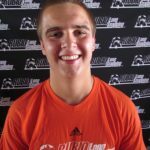 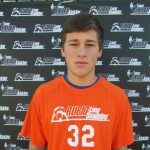 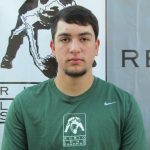 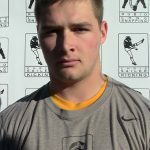 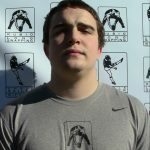 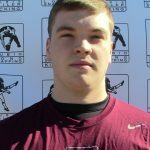 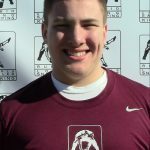 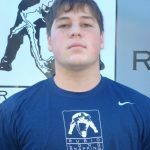 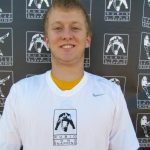 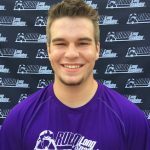 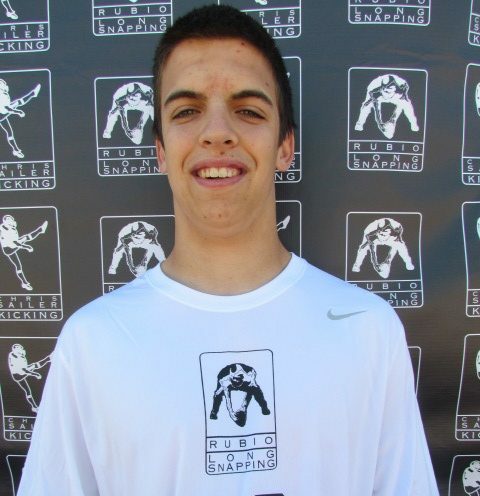 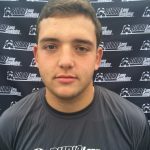 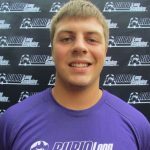 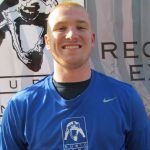 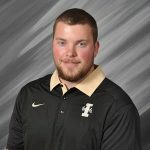 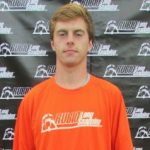 Brendan Turelli of Arizona, Rubio Long Snapping class of 2013, has just been awarded a full scholarship from the University of Wyoming. 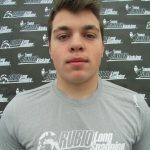 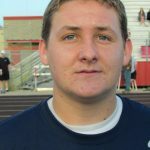 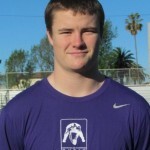 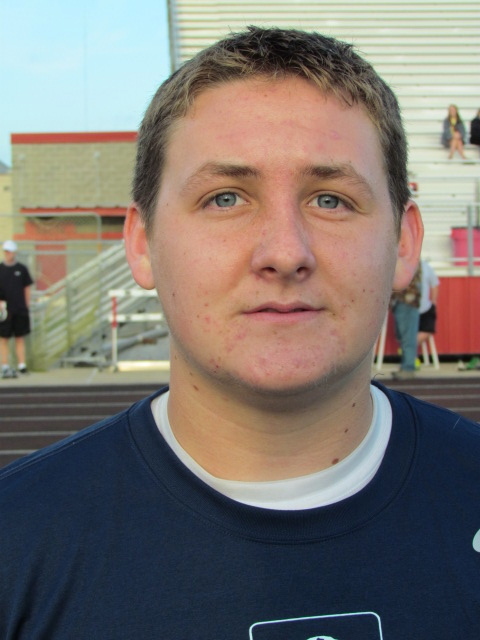 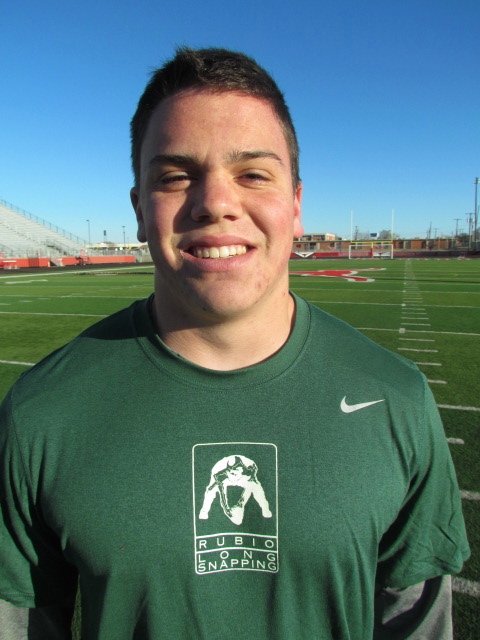 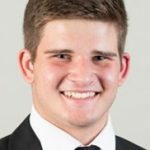 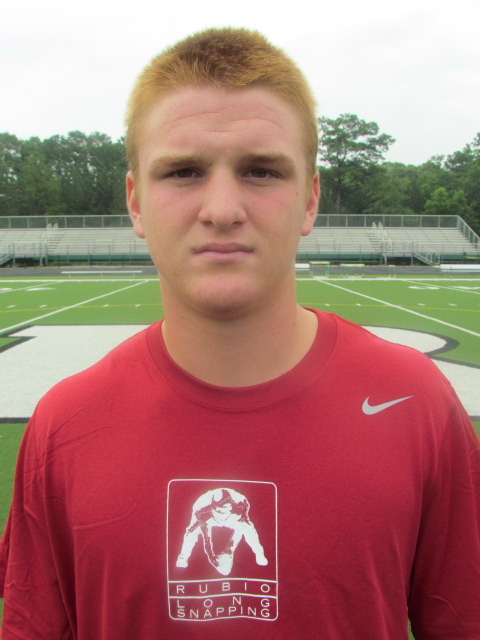 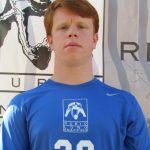 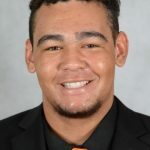 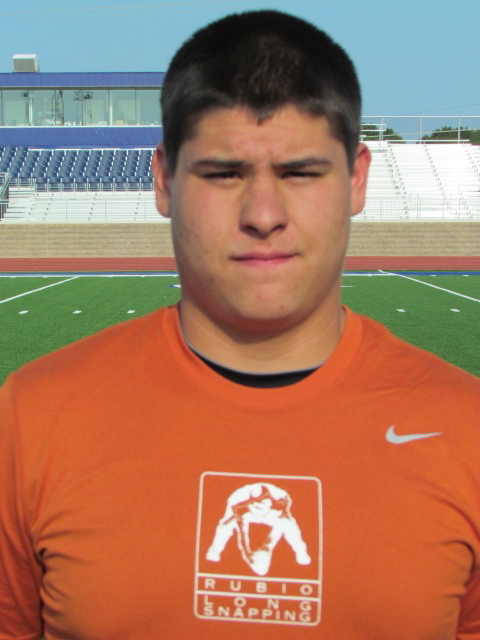 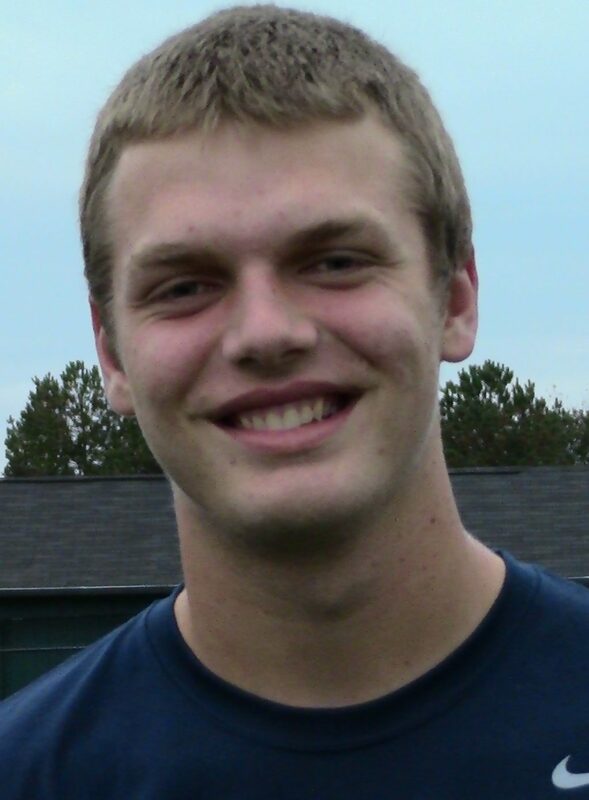 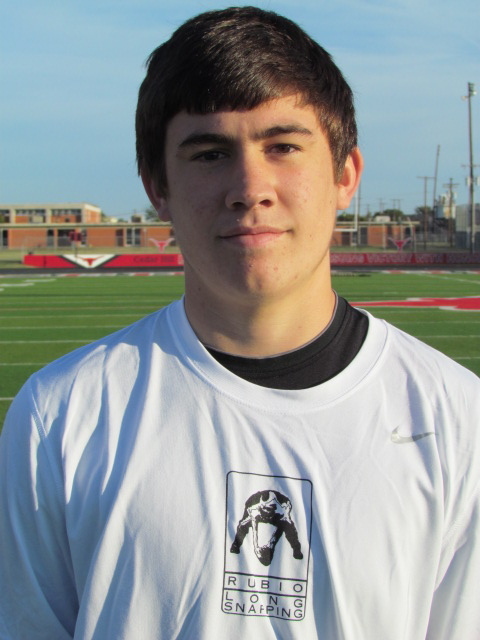 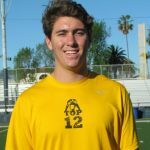 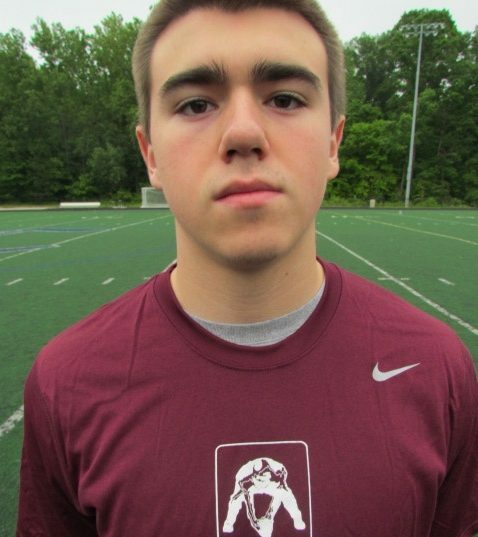 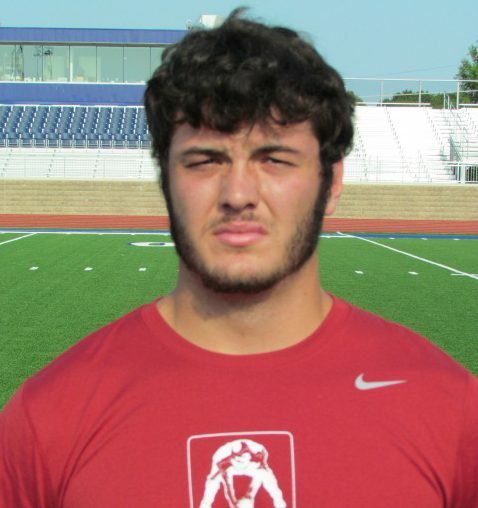 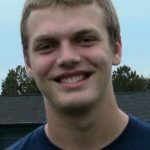 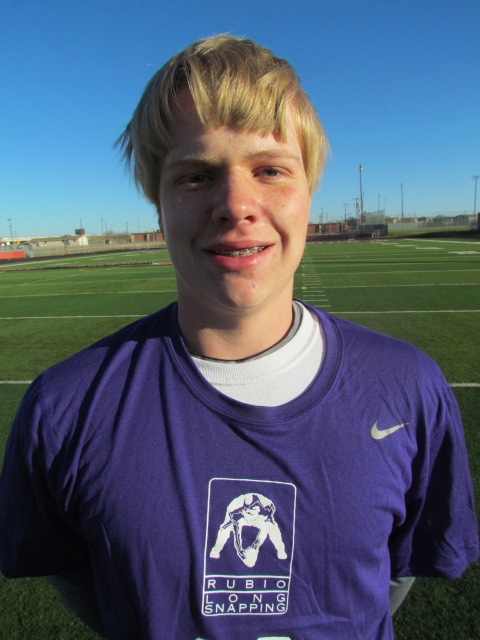 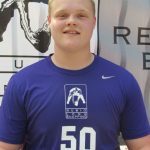 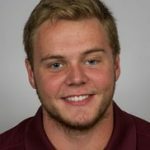 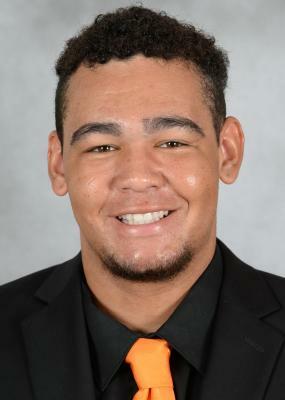 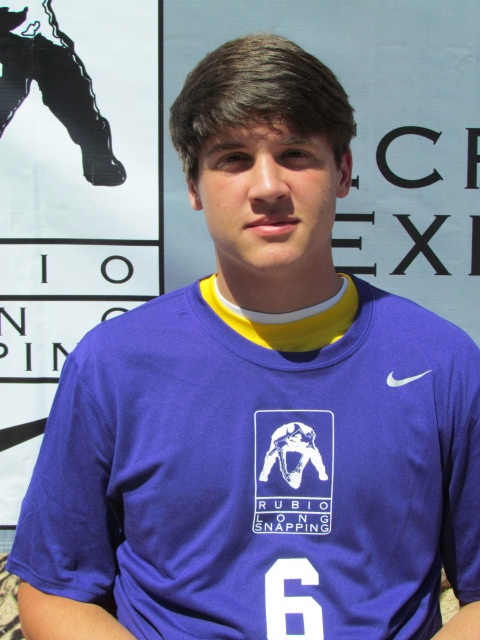 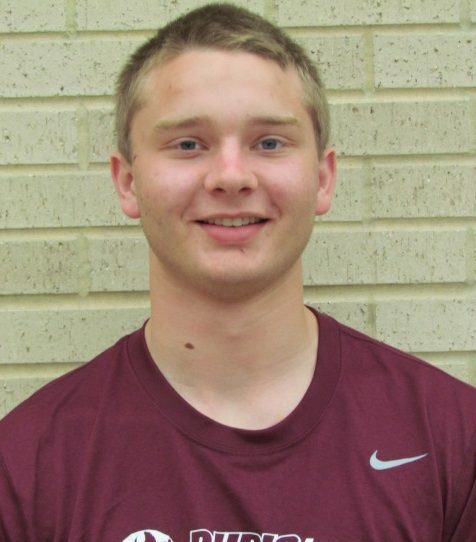 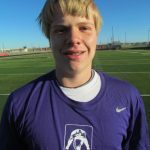 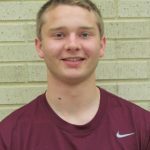 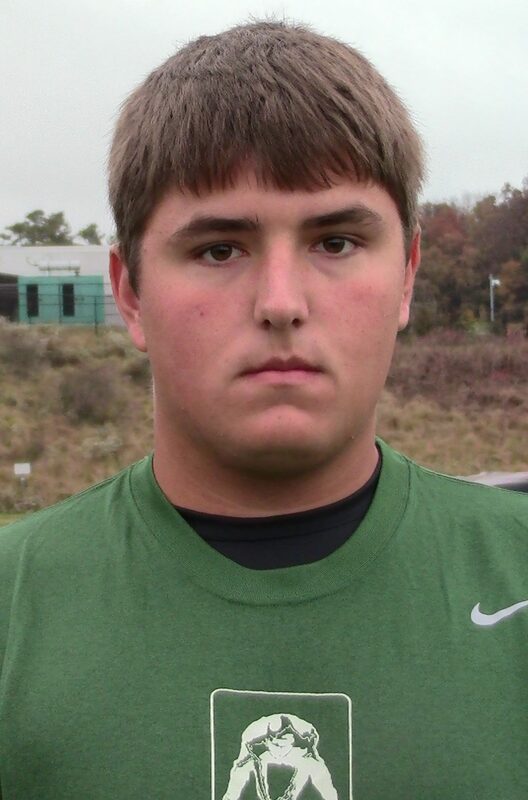 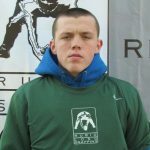 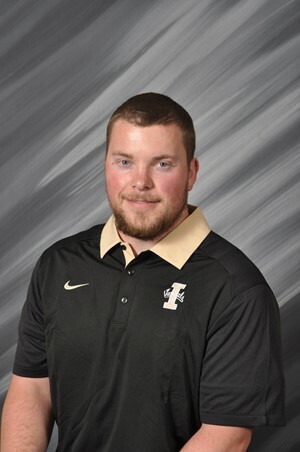 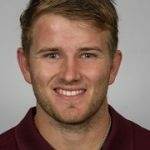 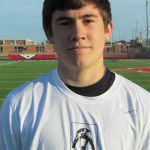 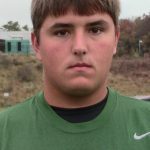 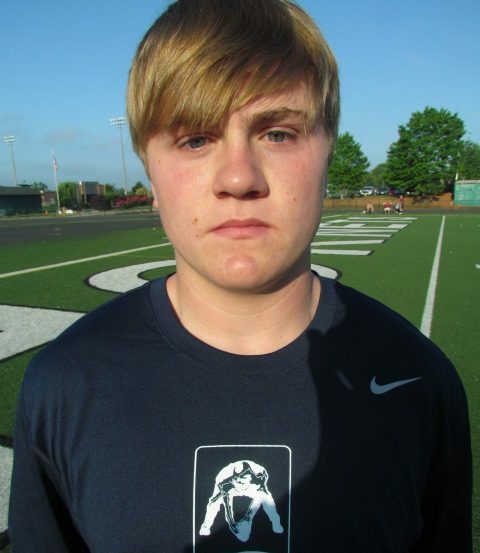 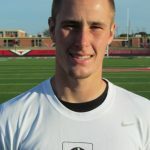 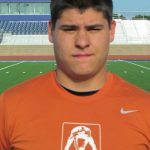 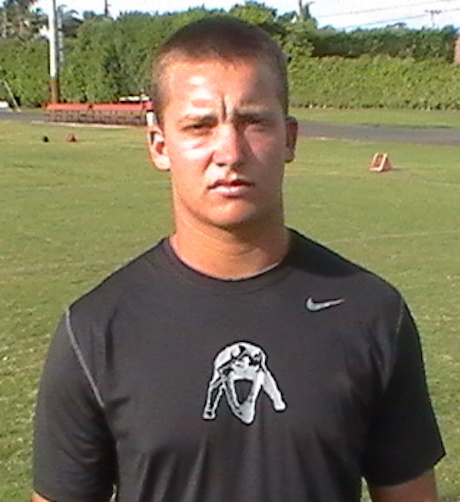 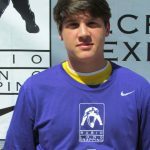 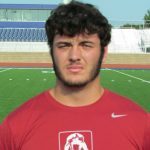 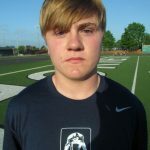 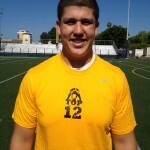 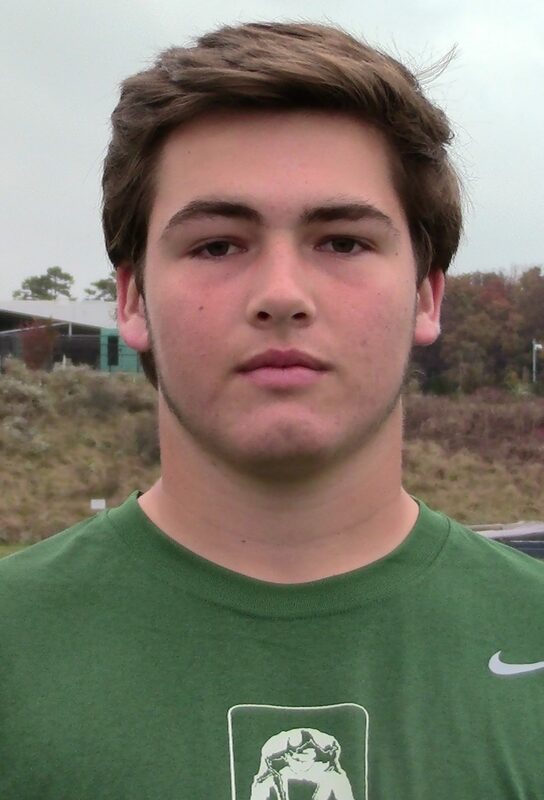 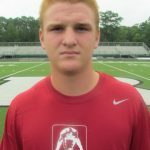 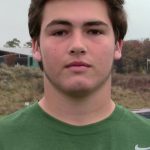 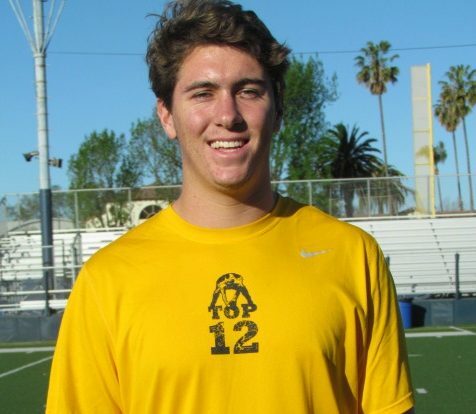 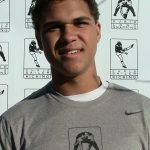 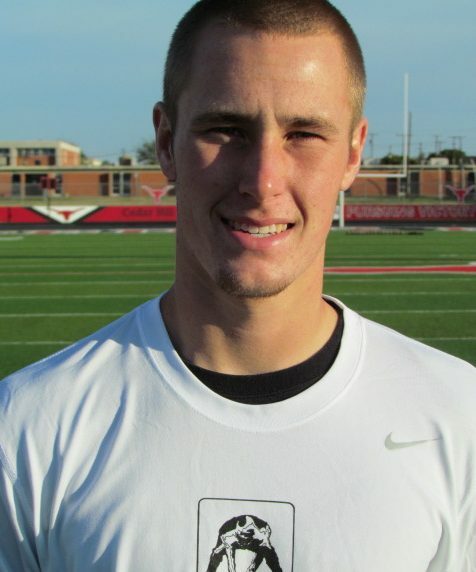 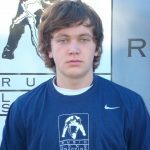 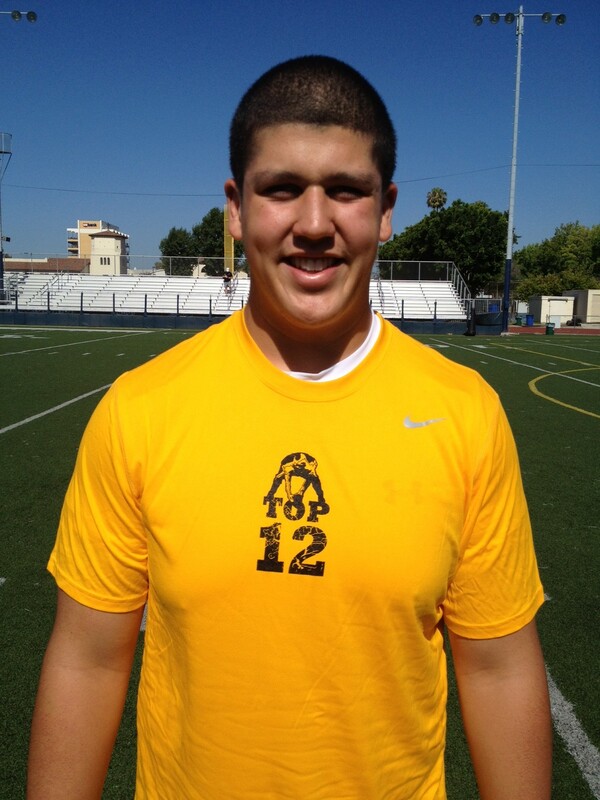 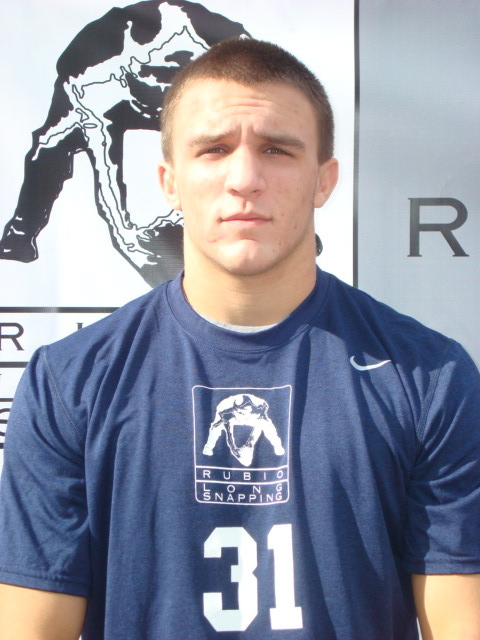 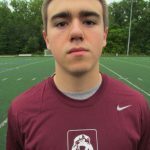 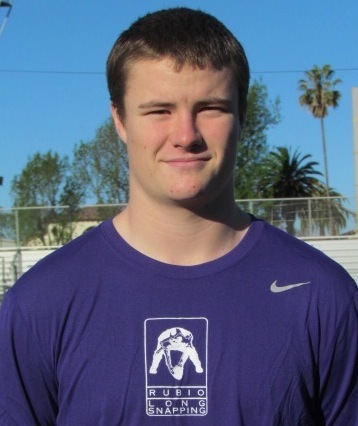 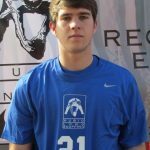 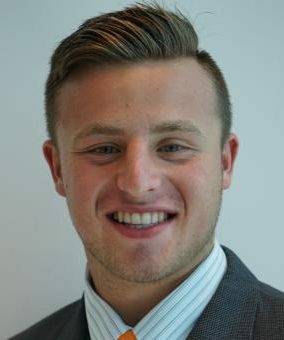 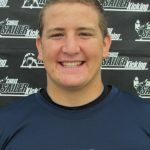 He is a 5 star Long Snapper and Two-Time Top 12er! 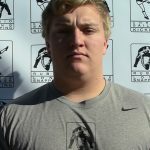 Update: Brendan has committed to Wyoming!!! 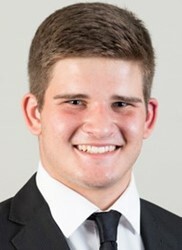 Congratulations to him and his family. 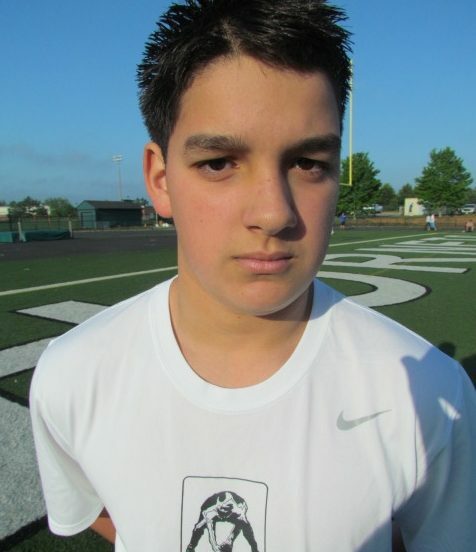 Turelli is a machine. 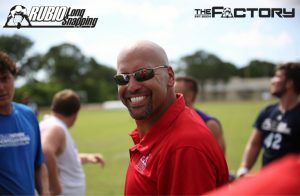 Very nonchalant when he snaps, but that is because he can be. 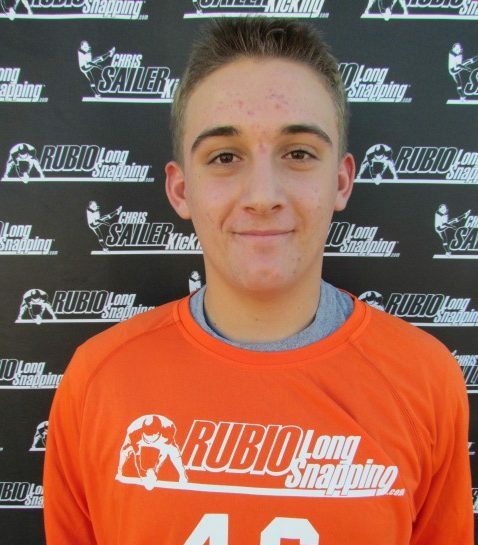 Kid snaps bullets that are smooth and never misses. 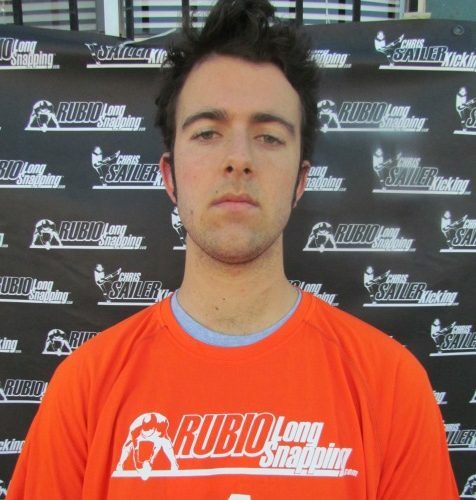 Lefty that has tremendous zip on the ball. 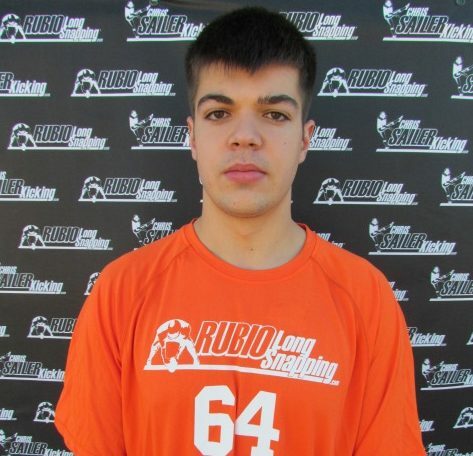 Ball just appears in your hands. 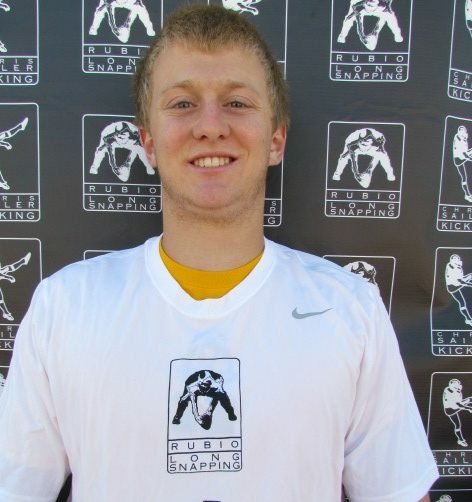 Love to watch him snap. 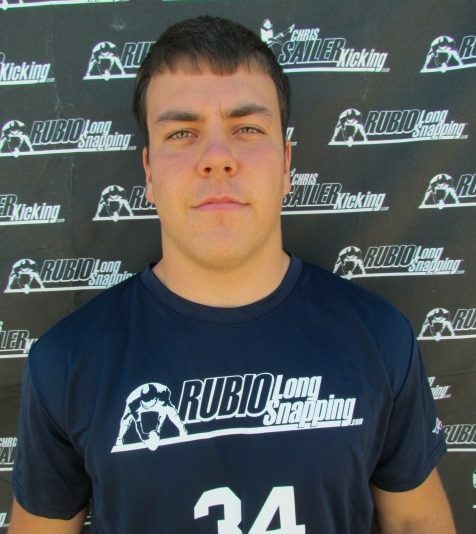 Moves very well on his feet for his size. 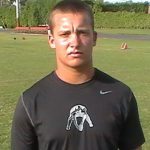 Really can be a threat in coverage. 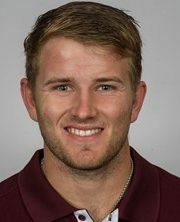 Handles pressure very well. 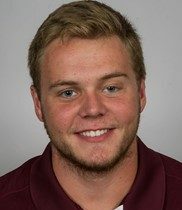 Sure fire scholarship kid. 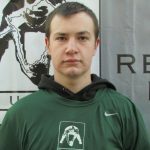 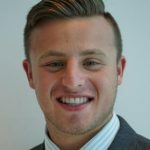 Want to read more about Brendan? 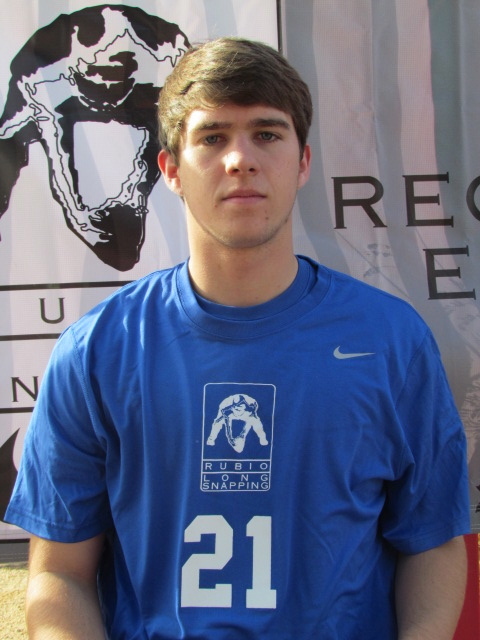 Take a moment and follow this link to his Player Ranking for 2013. And while you are here, take a look at some of Brendan’s snapping skills!